NOTE: This site contains MILD SPOILERS for the eventual outcomes of some comics series/stories/events which MAY or MAY NOT affect storylines in the MARVEL CINEMATIC UNIVERSE. Most all links will take you to Wikipedia which has MAJOR SPOILERS. This is the comic that became, essentially, the beginning of the Marvel Universe (although it was published under their previous incarnation, Timely, which later became Atlas in the 1950s, which finally became Marvel Comics in 1961). 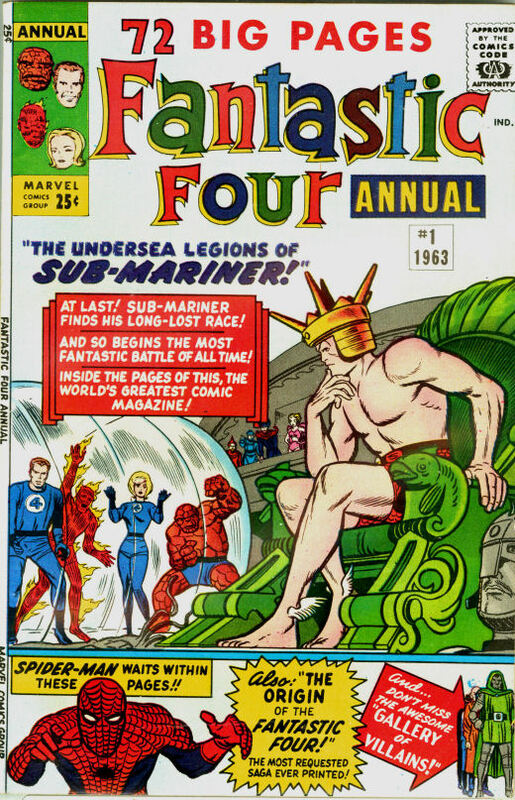 It provides the first appearances of the Original Human Torch, an android (featured on the cover, but not anything like how he appeared in this or any subsequent comics) and the Sub-Mariner, Namor, an Atlantean-Human hybrid, Marvel's first mutant, and ruler of Atlantis. 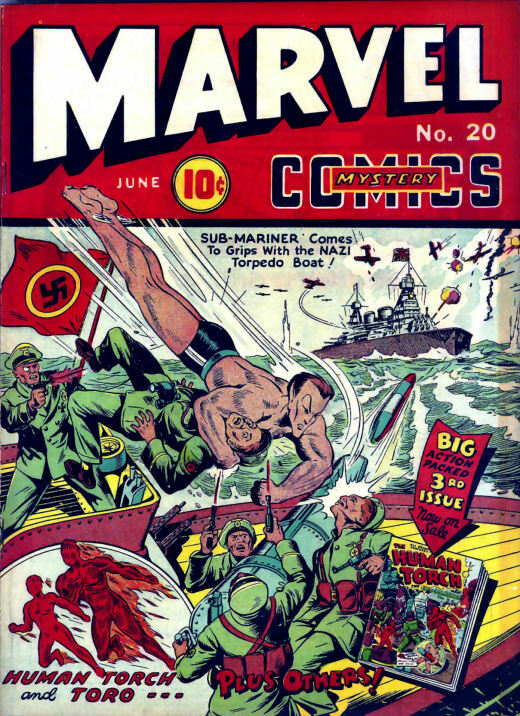 Namor had been created for an unreleased comic book entitled "Motion Picture Funnies Weekly" and an expanded version of that first, unpublished story appeared in this comic. 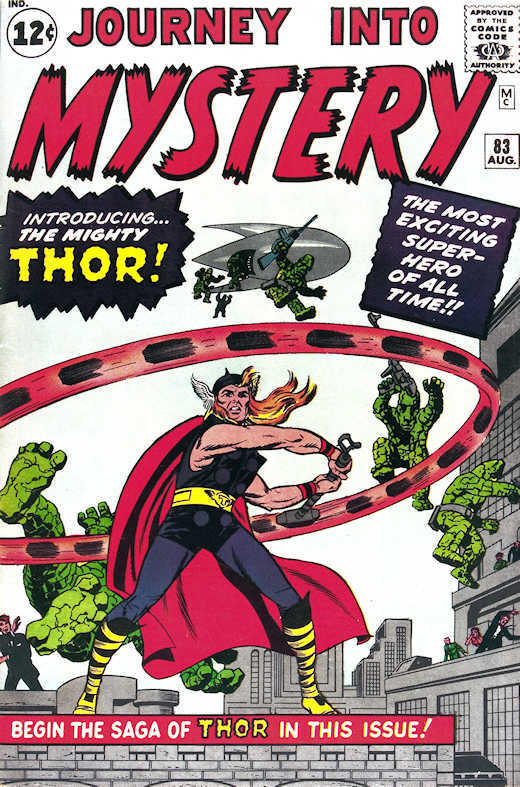 The book was renamed "Marvel Mystery Comics", although the "mystery" aspect of its title was rather obscured. The two characters crossed over in Marvel Mystery Comics #8 in 1940, edited by Joe Simon*. 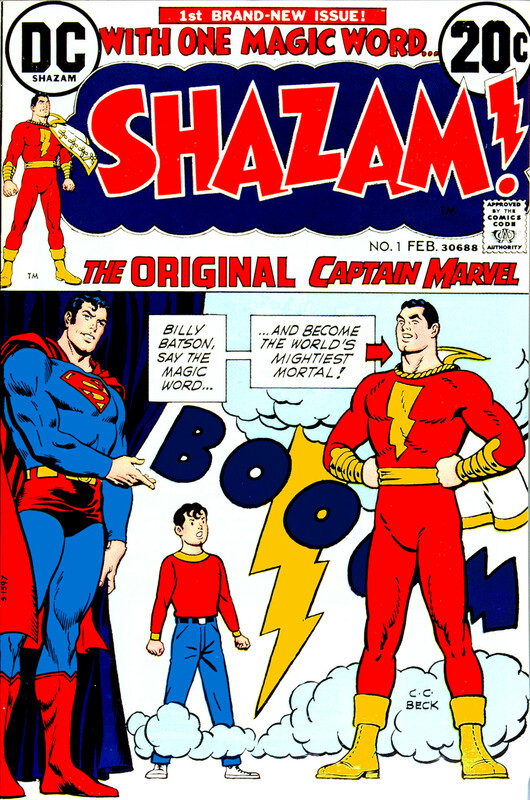 This founded the basis for a universe of heroes who could interact (copying the lead of All-Star Comics #3, which featured the creation of the Justice Society of America). Namor, as a character in general, seemed unbalanced, as he was regularly reconsidering his allegiances. 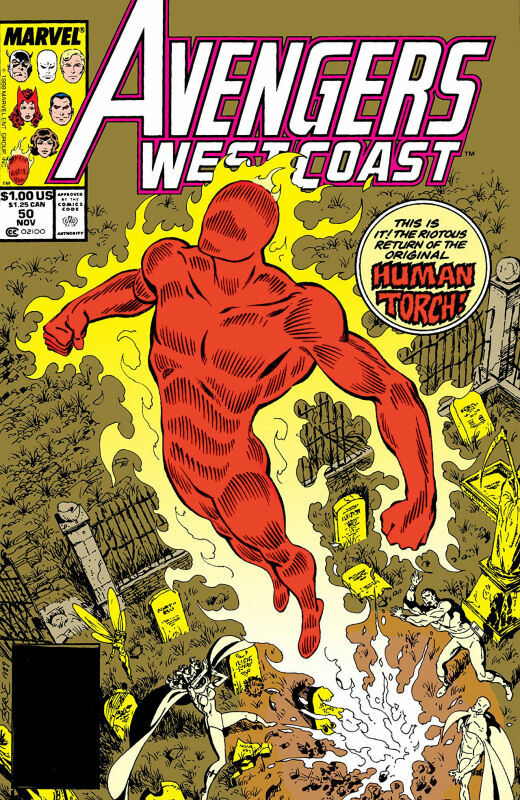 Later, in his own comic, the Torch got a sidekick, Toro, the Flaming Torch Kid, who, inexplicably, was also empowered just like the Human Torch. Joe Simon*, the editor of Marvel Mystery Comics #8, went on to team up with Jack Kirby and create Captain America Comics in 1941. 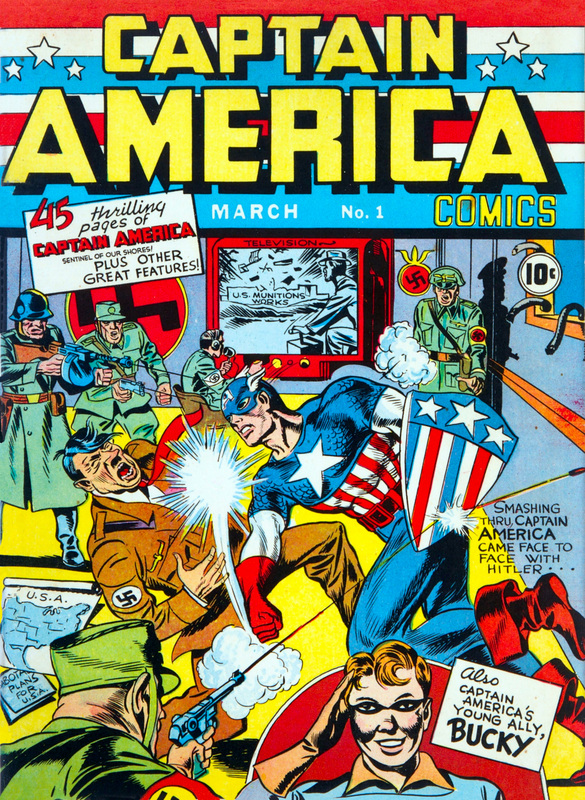 This comic was the first to show its hero bashing Hitler on the premier cover. In this first issue, we find out about Steve Rogers, a young, skinny 4-F patriot who is given a second chance by the "Super-Soldier" formula, combined with "Vita-Rays", which transform his body into the pinnacle of human perfection. Cap also gets a "sidekick" in this first issue, James Buchanan "Bucky" Barnes and they later founded a multiracial group of patriotic kids led by Bucky called the Sentinels of Liberty. 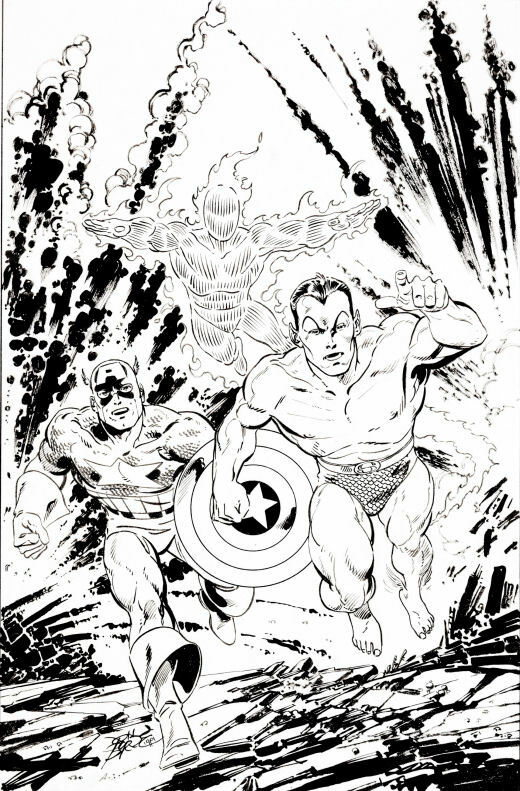 Captain America, Namor and the Human Torch were the basis for all of the company's successes, although they had a stable of other super-heroes throughout the Golden Age. Their most popular feature characters were finally teamed up in All-Winners #19 in 1946 as the All-Winners Squad (on the cover below, the kid who looks like a Namor sidekick is actually Toro who simply hasn't "flamed on"). 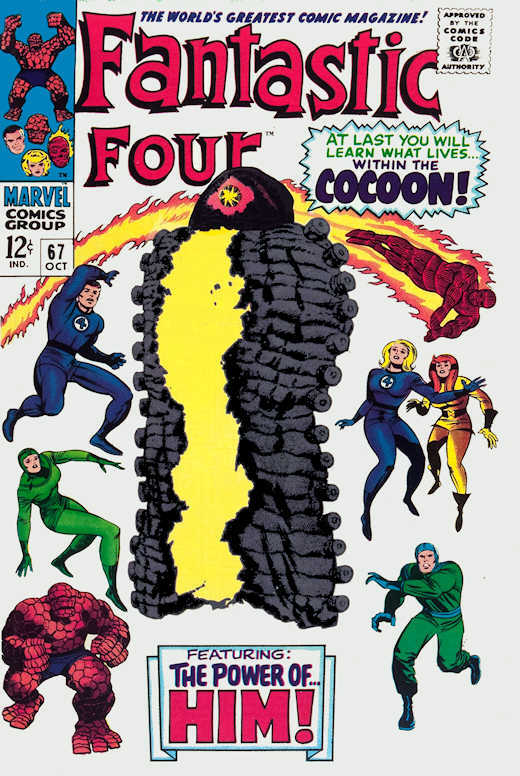 The team only had two appearances, but it formed the basis for retroactive continuity (RetCon) formed by Roy Thomas while writing The Avengers for Marvel comics in the late 1960's. 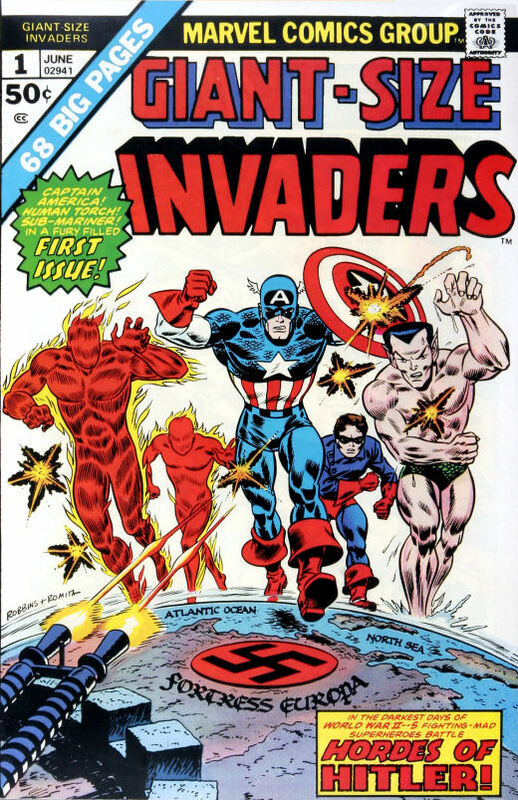 In Avengers #71 (Vol.1), an "earlier" version of the AWS with the three anchors was named The Invaders, who were a quickly slapped-together team of super-heroes who didn't necessarily get along, but had a common goal - the elimination of the Nazi regime. Teamed together after saving the life of British Prime Minister Winston Churchill from Master Man, the PM suggested that they should become a team. The rest is "history" (or, retconned history, anyway). Members of the team included sidekicks Bucky and Toro, as well as Union Jack, Spitfire, Miss America, and the unfortunately named Whizzer (his super power was super speed, BTW - not the ability to pee on command...). During WWII, Sgt. Nick Fury and his "Howling Commandos" made a name for themselves as an integrated unit of soldiers with diverse backgrounds. In 1945 Captain America and his teenage sidekick Bucky, went on a mission to prevent Baron Zemo from destroying an experimental plane. The plane was a drone, which was loaded with explosives by Zemo. While Cap and Bucky caught up to it during takeoff, Bucky attempted to disarm the detonator but it exploded, flinging Cap into the frozen Northern Atlantic Ocean. Captain America was frozen in ice and his teenage sidekick Bucky was killed. Both were soon secretly replaced by the U.S. government to avoid lowering morale among the Allies. Soon after, the Allies advanced to Berlin, and the Invaders broke into Hitler's bunker. The original Captain America, as well as his arch-enemy the Red Skull, would be revived in the modern era (1964). At the end of the war, it is later discovered that a young man by the name of Magnus was in Auschwitz with his future wife Magda. The pair escaped, married, and had a daughter, Anya. When Anya was killed in an arson attack on their home, "Magnus" used his mutant powers to kill the attackers, frightening away Magda, who - unbeknownst to Magnus - was actually pregnant with twins at the time. This becomes significant later in Marvel Universe history. 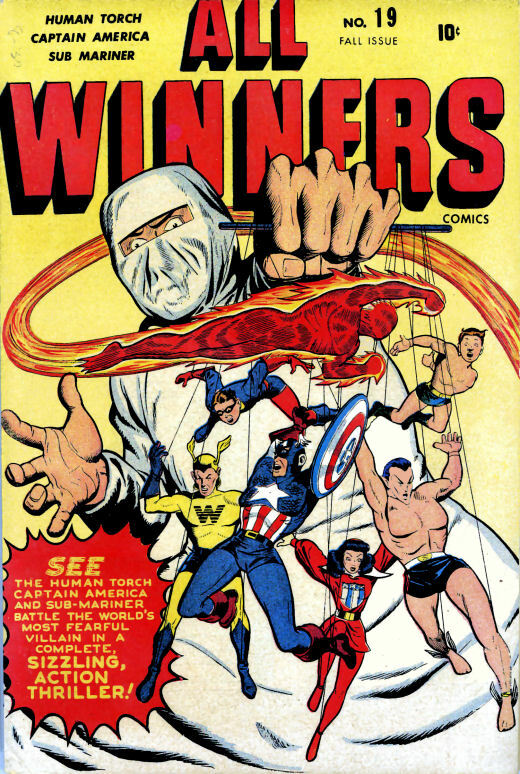 After the war, most of the Invaders remained active as the All-Winners Squad. 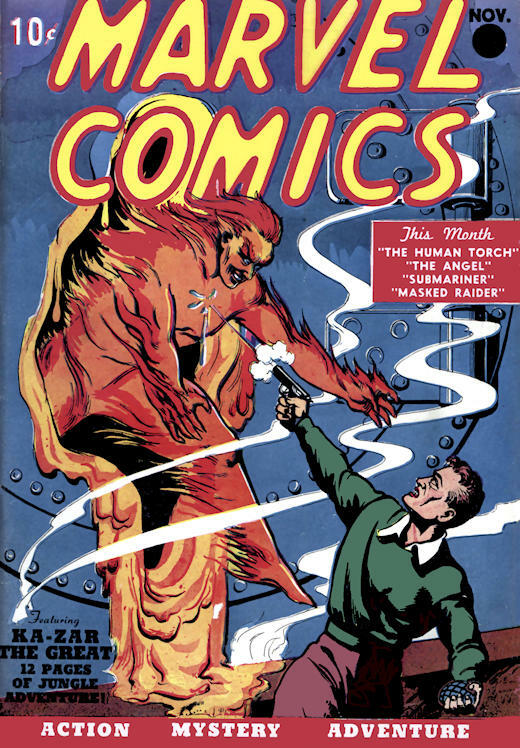 Later, the Human Torch was rendered inert for decades due to exposure to an atomic bomb detonation, and the Sub-Mariner was rendered an amnesiac following a mental breakdown after the destruction of much of Atlantis by the mesmerist Paul Destine ("Destiny"). From the period between the end of WWII and the beginning of the Marvel Age, there were several attempts to keep publication of Timely's/Marvel's most popular heroes going. 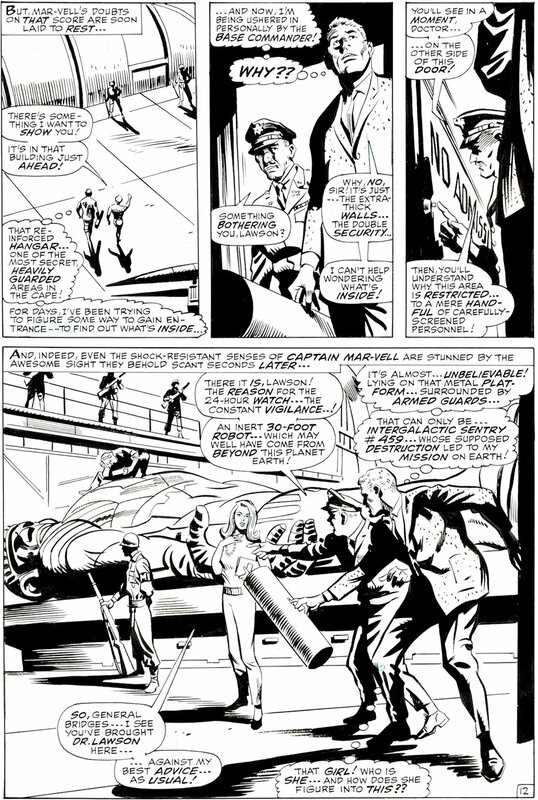 The continuation of the Captain America story and reboots between 1945 and 1960 resulted in several explanations utilizing Retroactive Continuity (retcons) to explain publication history. After Captain America (Steve Rogers) and Bucky Barnes are reported missing in action in 1945, President Truman has Cap replaced by The Spirit of '76, William Naslund and Bucky was replaced by Fred Davis. The "new" Cap and Bucky would fight alongside the All-Winners squad for the next year until Cap II was killed by a robot under the control of Adam II (an android). Upon the death of Captain America II, Jeffrey Mace, aka The Patriot, becomes Captain America III and serves in this capacity until 1950. 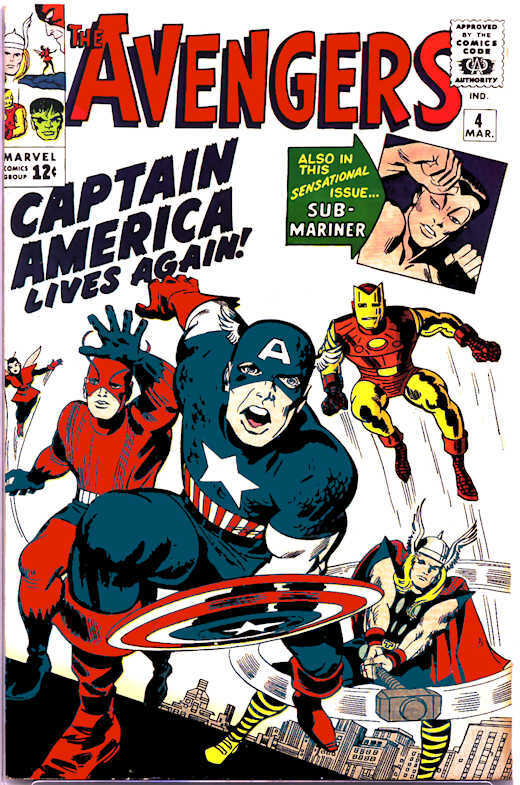 Later on, a fourth Captain America would appear in comics during a reboot. William Burnside was obsessed with Captain America and even went so far as to have plastic surgery in order to resemble Steve Rogers, changed his name to "Steve Rogers", injected himself and sidekick Jack Monroe with a Super Serum, resulting in their having become mentally unbalanced and requiring medical status until an intervention for their insanity could be provided. Several new heroes were active during the 1950s, including Marvel Boy (Robert "Bob" Grayson), the 3-D Man, Gorilla-Man, M-11 the Human Robot, and the goddess Venus, and Jimmy Woo. 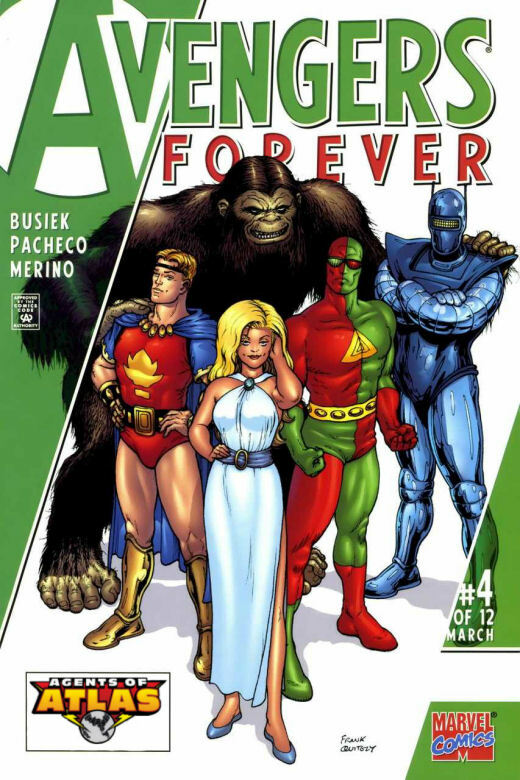 The group broke up fairly quickly, but in the modern day, thanks to immortality, long life and a rejuvenation formula, they re-formed as the Agents of Atlas. During the Cold War, a joint U.S./Canadian task force that was later codenamed "Team X" was formed. 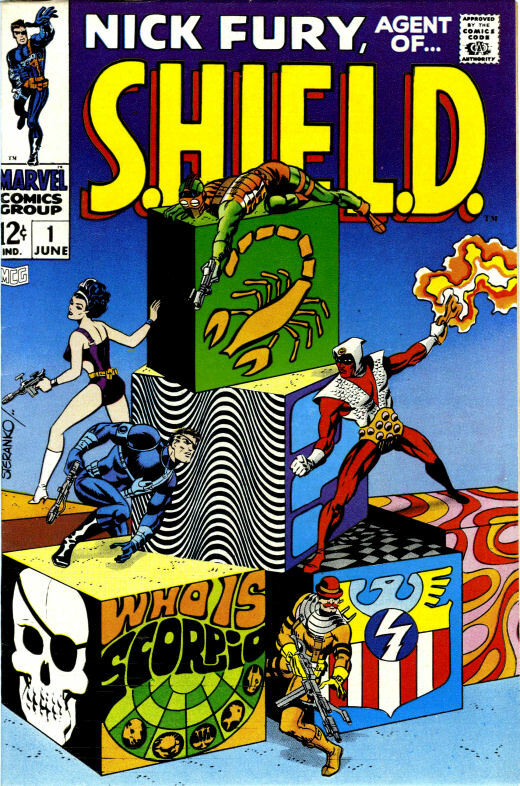 This was a group of spies and assassins, including some that become important to the Marvel Universe later on. Subsequently, the Weapon Plus Project, which had supported the creation of the Super-Soldier Project that had created Captain America, started a new iteration of its Weapon program. The Tenth Weapon program (Weapon X) resulted in the implantation of adamantium in the body of a man named "Logan" and the creation of many false memories in him and the other Team X/Weapon X agents. 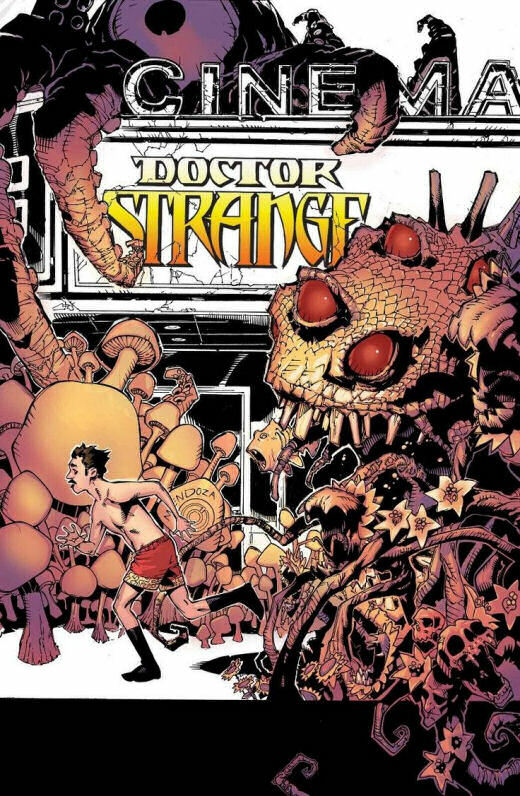 Some time during this period, or during the Lost Generation, Stephen Strange - a highly talented and egotistical surgeon - has an accident that destroys the nerves in his hands, ending his livelihood as a surgeon. Strange seeks out an aged mystic, known only as "The Ancient One", seeking to regain full use of his hands. He studies with the mystic for years and will later return to New York City during the Marvel Age. 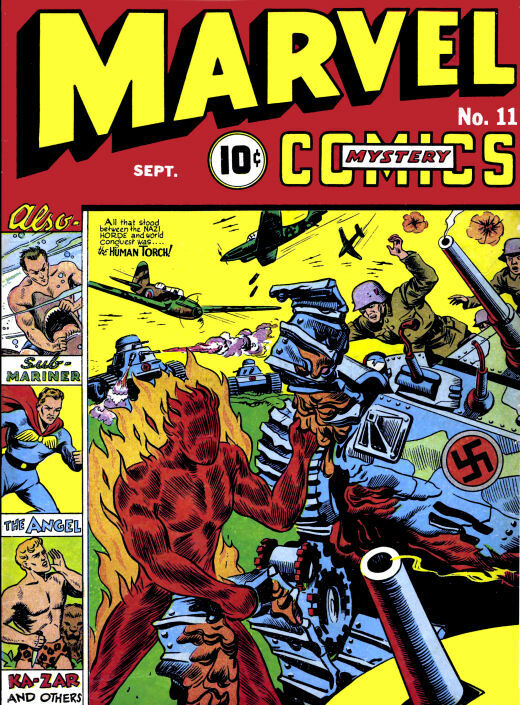 As the time between the end of the war and the beginning of the Marvel Age, or "Marvel Time" (always "10-12 years ago") began to stretch, fans became curious as to how the period of time from 1945 to present (which was originally 1961 when the Marvel Age began) was to be explained. The Marvel series The Lost Generation was an enjoyable trip into the intervening period by regular Marvel scribe and artist John Byrne. A grouping of heroes became known as "The First Line"
The Marvel Age of Heroes started officially with the public debut of the Fantastic Four (1961), Marvel's "First Family" of super-heroes, Mr. 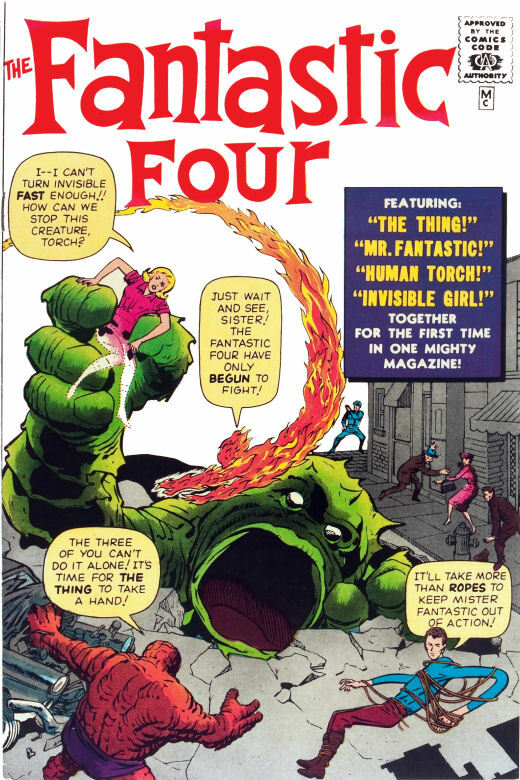 Fantastic, The Invisible Girl, The Human Torch (II) and The Ever-Lovin' Blue-Eyed Thing. 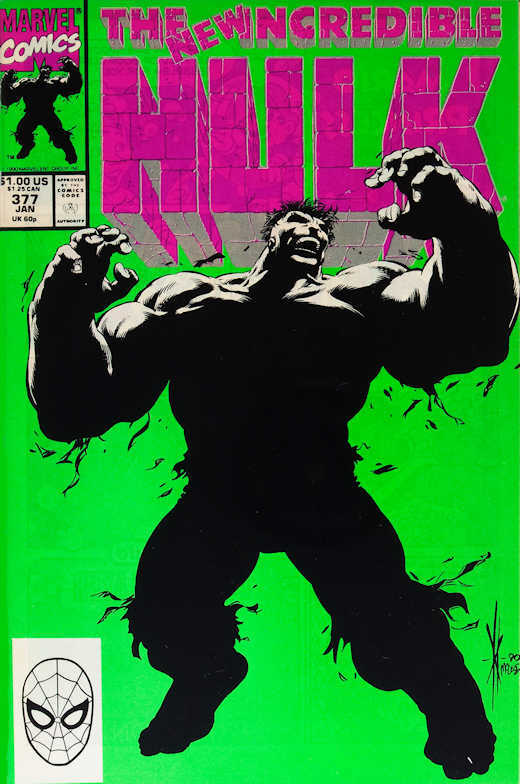 Bruce Banner, after being exposed to the Gamma Bomb he created while saving the young Rick Jones, becomes The Hulk. Peter Parker, a high school student, gains extraordinary strength and other powers after being bitten by a radioactive spider, resulting in his choice of the costumed persona of Spider-Man. Dr. Henry (Hank) Pym, noted scientist, discovers "Pym Particles" which he is able to use in a serum, allowing him to shrink to the size of an ant (Tales to Astonish #27). He also uses a specially designed helmet to communicate with ants (TTA #35) and have them do his bidding. 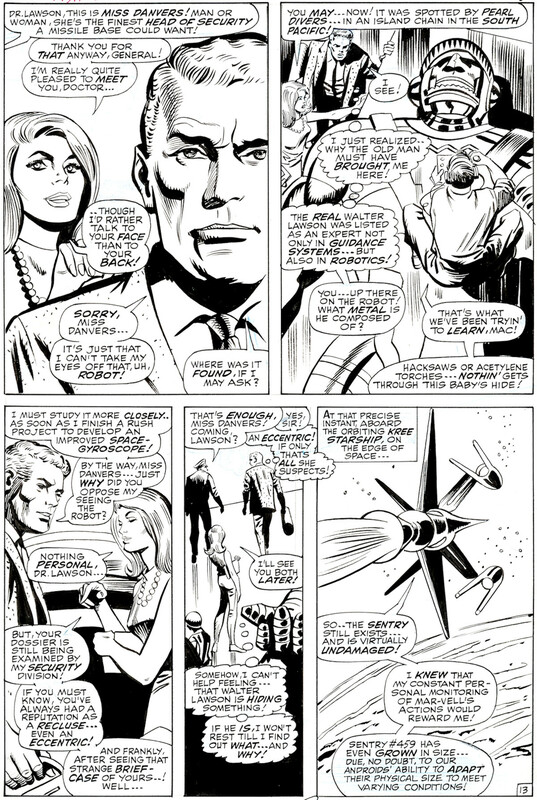 His girlfriend, wealthy socialite Janet Van Dyne, also uses the particles and becomes The Wasp (TTA #44), at which point they become a regular feature in Tales to Astonish. Shortly after both Ant-Man and The Wasp become charter members of The Avengers, Hank Pym uses a different serum utilizing Pym Particles to grow into Giant-Man (TTA #49). 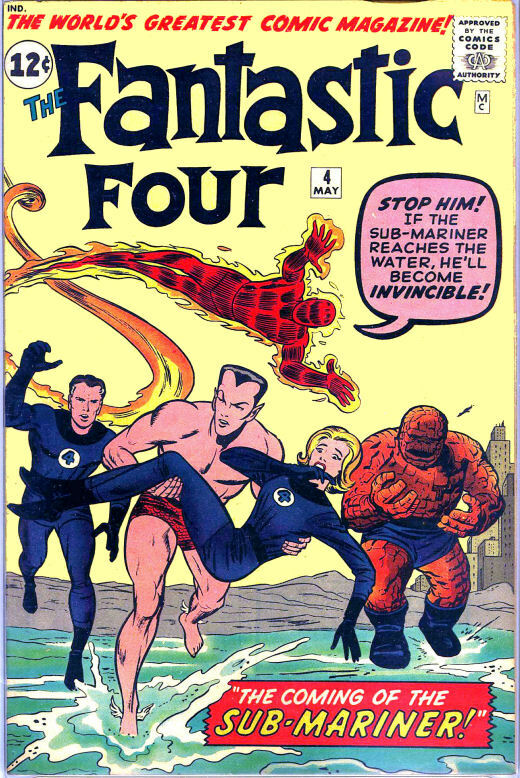 Prince Namor, the Sub-Mariner gets his memories back after a meeting with the Fantastic Four's Human Torch. He subsequently flirts with and then kidnaps the Invisible Girl and, after regaining his throne in Atlantis, shortly considers conquering land-dwellers, but then changes his mind. Around this time, Donald Blake, while excercising his injured leg in the hills, stumbles upon an alien invasion. Discovered, he seeks shelter in a cave and becomes trapped when a boulder blocks his exit. Finding a staff, he attempts to use it as a lever, but fails. Striking it on the boulder in anger, he finds himself changed into The Mighty Thor! His uru hammer, Mjolnir, displays the words "Whosoever holds this hammer, if he be worthy, shall posess the power of THOR". He defeats the aliens and continues to fight wrongdoing on earth. Not much later, Tony Stark dons his Iron Man guise. 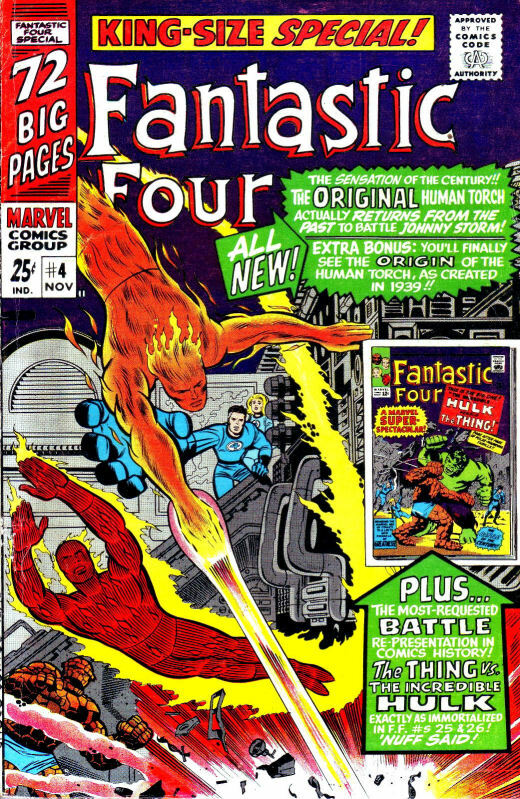 In the March 1963 issues of Fantastic Four (#12) and Spider-Man (first issue), the Thing and the Hulk battle and Spider-Man meets the Fantastic Four, setting the stage for a shared universe in which all Marvel characters can cross over into each others' series. Some of these heroes joined to form the Avengers, Marvel's premier super-team, funded by munitions researcher, Tony Stark (aka Iron Man) and overseen by the US Government. Also, at this time, a group of mutants under the leadership of Professor Charles Xavier emerge, calling themselves the X-Men (Cyclops, the Angel, the Beast, Iceman and Marvel Girl). 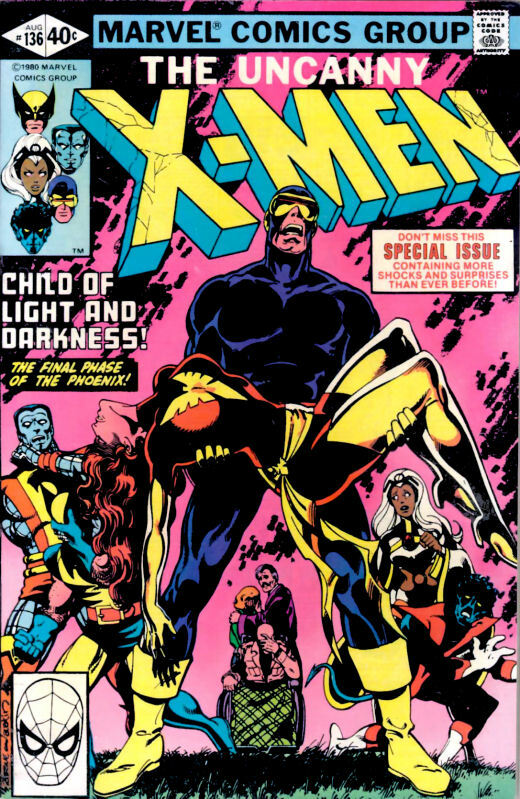 Subsequently, the X-Men go public, fighting the mysterious Magneto. The Avengers find Captain America, kept alive in a block of ice by the super-soldier formula and revive him with the help of Namor, the Sub Mariner. Cap will go on to be the most regular leader of the group through it's changing roster. 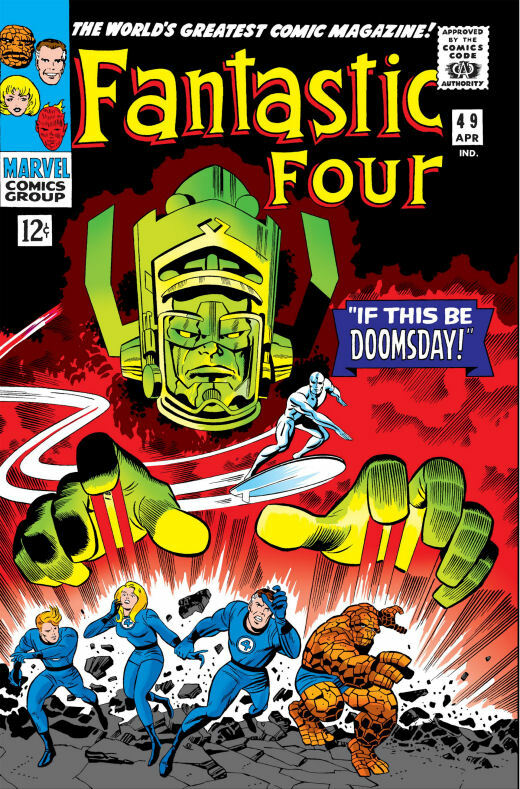 The Fantastic Four encounter a few Skrulls, a shape-shifting, imperialistic race. They are quickly defeated and hypnotized into believing they are actually cows... 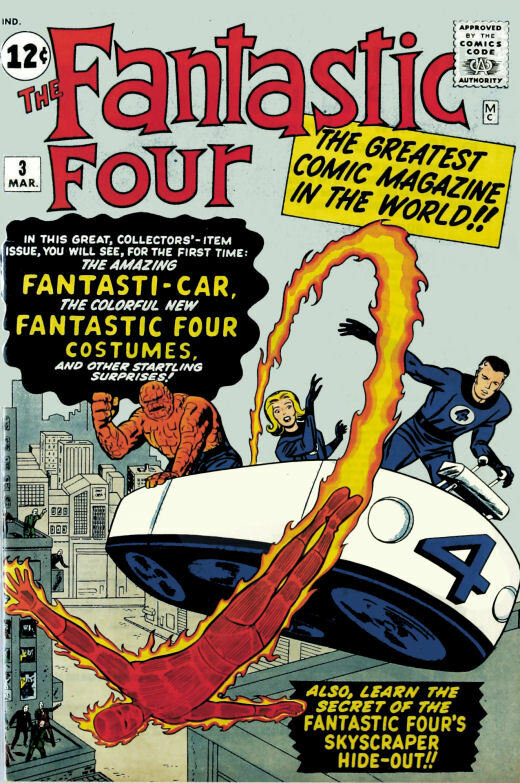 Shortly thereafter, having spent all of their previous adventures in street clothes, the Fantastic Four don special uniforms made from unstable molecules. Magneto returns with his Brotherhood of Evil Mutants (Mastermind, the Toad and twins Pietro and Wanda Maximoff, now known as Quicksilver and the Scarlet Witch) to battle the X-Men. It is later discovered that Magneto was Magnus and the twins, Pietro and Wanda, were his children. Stephen Strange, former surgeon, returns to New York City, taking up residence in Greenwich Village in a mansion dubbed the Sanctum Sanctorum. He battles unseen and other-dimensional threats as Earth's Sorcerer Supreme: Doctor Strange. Matt Murdock, a blind lawyer trained in boxing with exceptional athletic abilities and senses heightened to a superhuman level, becomes Daredevil. Colonel Nick Fury, after several years in the CIA and now sporting an eyepatch from a war injury, conceives and later becomes director of S.H.I.E.L.D. The acronym originally stood for Supreme Headquarters, International Espionage, Law-Enforcement Division. It was changed in 1991 to Strategic Hazard Intervention, Espionage Logistics Directorate. In the 2008 Marvel Studios film Iron Man, the acronym stood for Strategic Homeland Intervention, Enforcement, and Logistics Division. S.H.I.E.L.D. continues to be the watchdog of the Marvel Universe and Nick Fury, thanks to the Infinity Formula, which has slowed his aging considerably since the 1940s. The Fantastic Four find out that "Madame Medusa", former member of the Frightful Four and current member of the Fantastic Four, had suffered from amnesia. Upon learning this, they then encounter The Inhumans, a race of former humans whose genetic destiny was interfered with by the Kree, a warrior race looking to circumvent their own evolutionary stagnation and for a race to create as a new army. The Kree abandoned the experiment with humans, but the Inhumans created their own, insular society and exposed themselves ritualistically to the mutagenic Terrigen Mist, giving them diverse powers, but also resulting in lasting genetic damage and deformities. Black Bolt, their King, Medusa, his wife and their cousins (the Royal Family) Karnak, Gorgon, Triton, Crystal, Maximus the Mad, and the canine Lockjaw. Captain America, upon meeting Rick Jones, sidekick of The Hulk, momentarily mistakes him for Bucky. 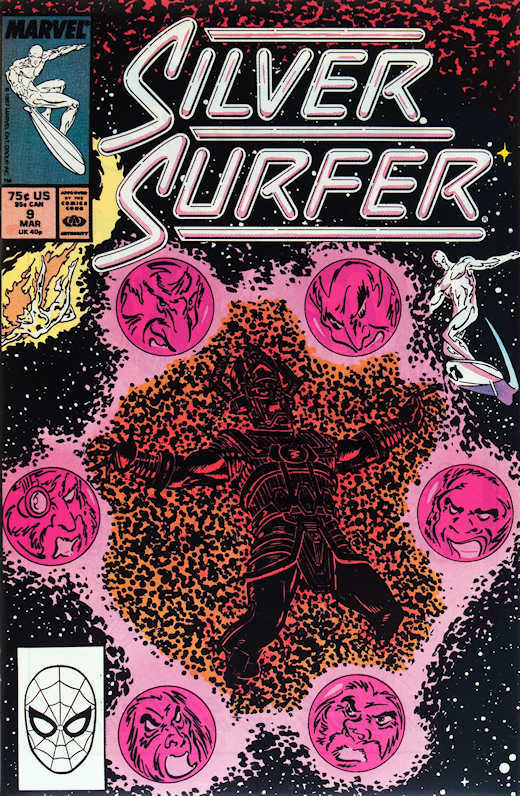 Galactus and his herald, the Silver Surfer, plan to destroy Earth. 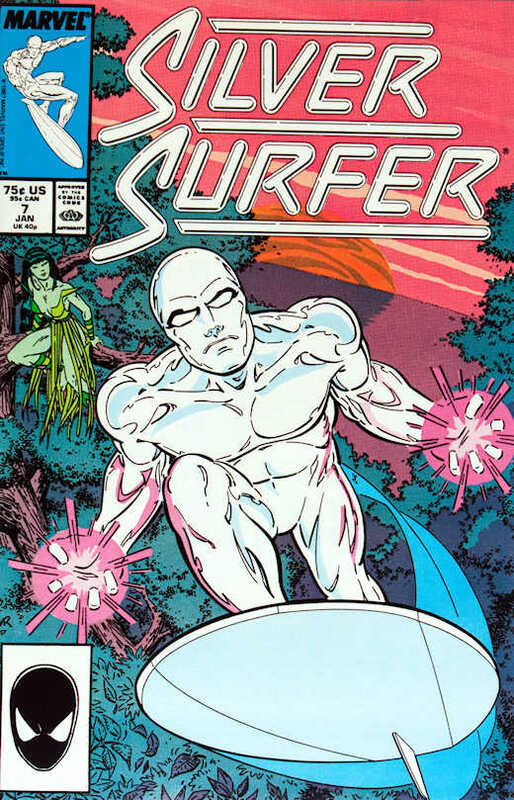 After meeting Alicia Masters, a blind sculptress and girlfriend of The Thing, the Silver Surfer rebels against his master and, as punishment, remains a prisoner of earth's atmosphere. Later, the Fantastic Four are invited to the nation of Wakanda, the most technologically advanced country in the world. There, they meet and are defeated by The Black Panther, King of Wakanda, T'Challa who is preparing for the advent of his archenemy, Ulysses Klaw. Upon learning this, the Fantastic Four help the Black Panther defend his nation and protect its precious store of Vibranium, whose special properties were evident in the shield of Captain America. 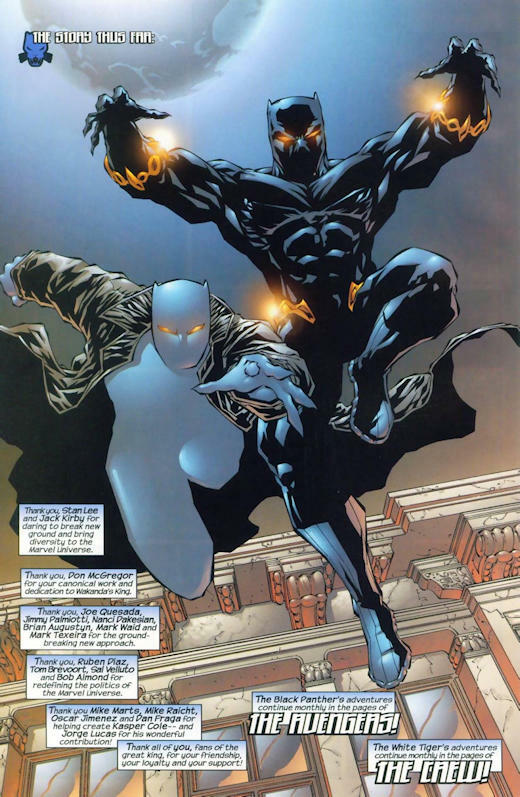 T'Challa possesses a genius intellect, is highly skilled in martial arts in addition to having trained himself to peak physical fitness and has been imbued with enhanced abilities through Wakandan ritual. Reed Richards (Mr. Fantastic) and Sue Storm (The Invisible Girl) of the Fantastic Four, wed. 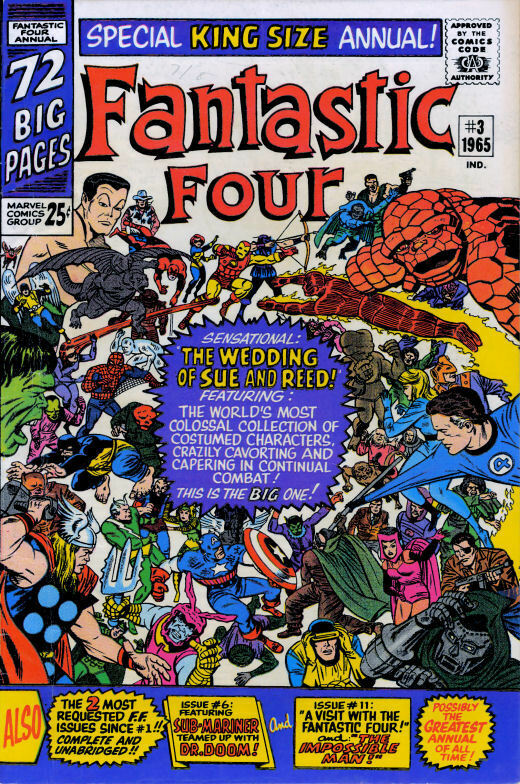 Most every character in the Marvel Universe shows up in this comic - including Stan Lee and Jack Kirby. Rick Jones briefly takes the title and uniform of Bucky, Cap's long-dead partner. Rick's brief time as Bucky gave him the training to survive around superheroes to this day. 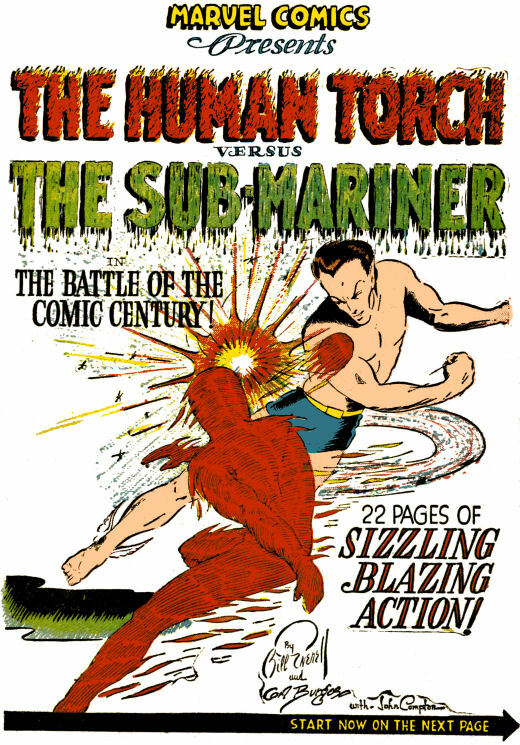 The Human Torch battles (seemingly) the Original Human Torch. The Fantastic Four witness the birth of "Him". We won't see what's up with him for a few years yet. 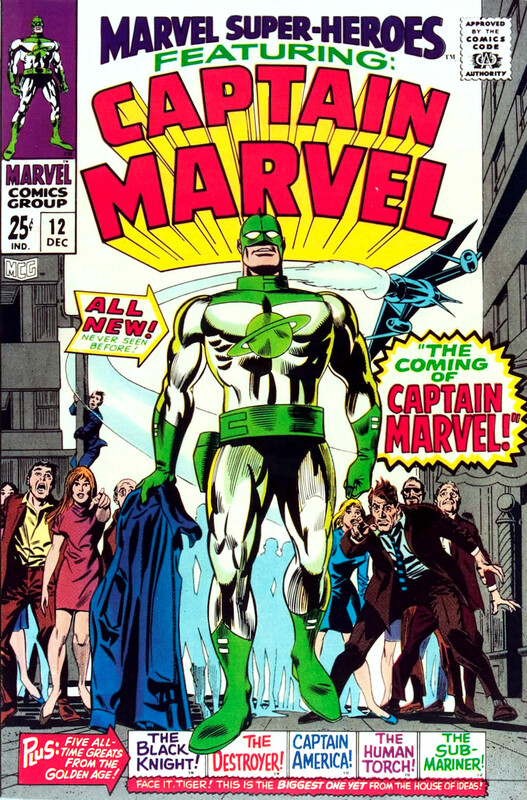 The Kree Empire sends Captain Mar-Vell to Earth as a spy. 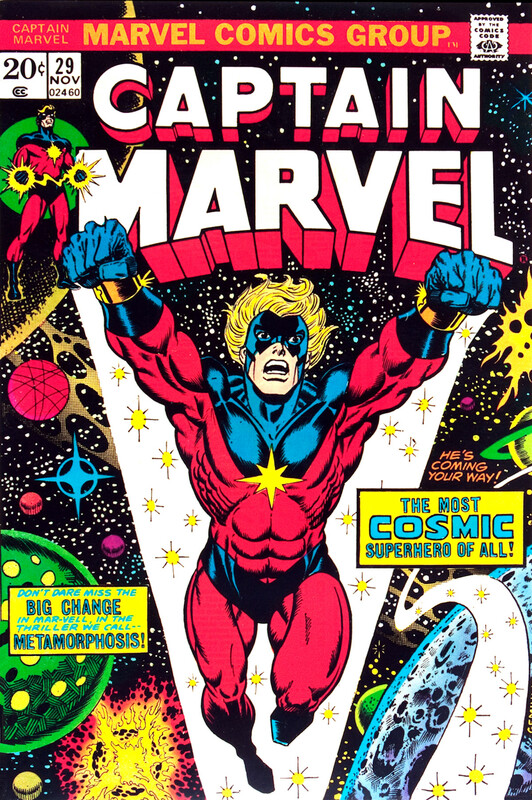 Coming to empathize with humanity, Mar-Vell betrays his orders and is welcomed as a hero by the people of Earth. 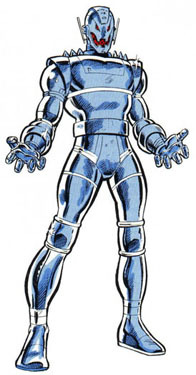 After being banished to the Negative Zone, he later is merged with Rick Jones via the Kree nega-bands, allowing them to change places upon slamming them together, in a manner similar to the Original Captain Marvel and Billy Batson. They didn't even change the colors that much. Hank Pym (Ant-Man/Giant-Man) creates Ultron, a robot based on his own brain patterns, who rebels due to an irrational hatred for his "father"/creator and sets out to destroy mankind. This scenario will be repeated several times, with Ultron renaming himself with a version number after each iteration (Ultron-5, Ultron-7, etc.). The Vision, a synthezoid, is created by Ultron, to battle the Avengers, but, in an ironic twist, rebels against his creator and becomes an Avenger. The Vision is thought to be based on the same android technology as The Original Human Torch and his brain patterns are based on those of Wonder Man (Simon Williams, believed to be deceased at that time). Franklin Richards is born to Reed and Sue Richards of the Fantastic Four. 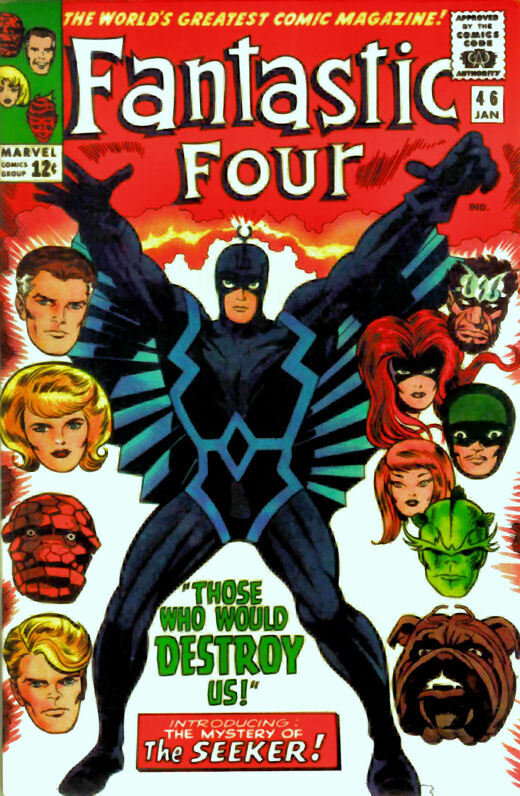 The Avengers become involved in a millennia-old interstellar war between the Kree and the Skrulls (both races were created by cosmic beings known as the Celestials, who were experimenting with the evolution of many intelligent beings across the universe - this experimentation was the inspiration for the Kree interfering with Human development, resulting in The Inhumans). 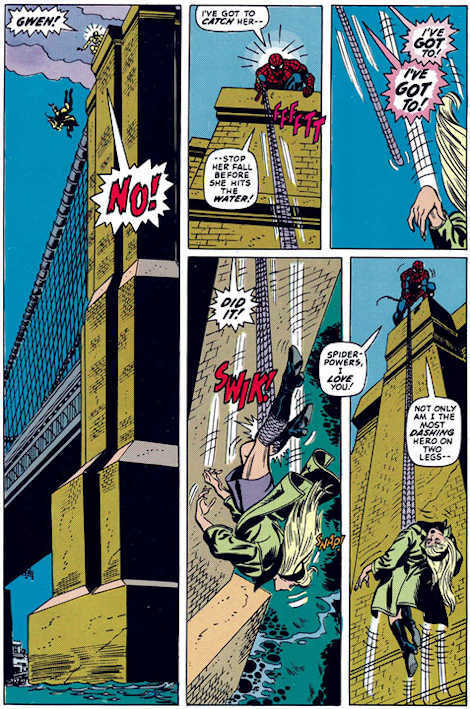 During a fight with the Green Goblin, Gwen Stacy is killed when Spider-man is unable to save her. Captain America teams with The Falcon for a few years. Also during this period, Cap becomes disillusioned with the US government after a serious scandal and he gives up the title of Captain America, becoming "Nomad". After failed attempts at replacement by the government of Captain America, Steve Rogers re-asserts himself as Cap, noting that he is not the symbol of the government but of the United States of America, itself. The Canadian government brings their "Weapon X" to attack the Hulk. This adventurer, named Wolverine, is knocked out. 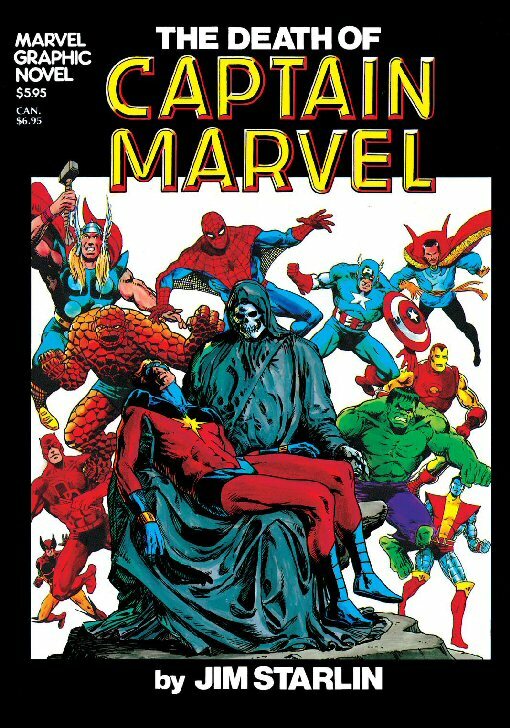 Captain Marvel (Mar-Vell) encounters Thanos, a deviant member of the race of Eternals (long- lived, almost godlike beings, who once lived on Mount Olympus, but now reside on Saturn's moon, Titan), who, fascinated by nihilism, falls in love with the personification of Death in the Marvel Universe and embarks on a quest to eliminate known life. 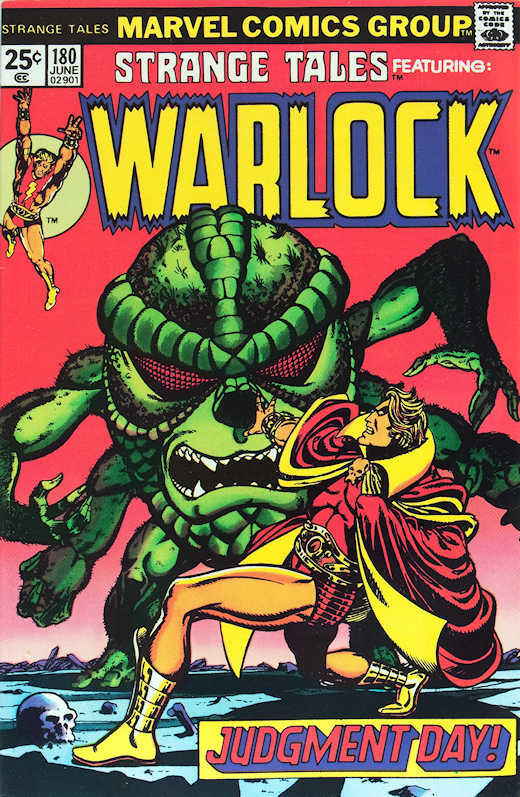 The being known as "Him" becomes Adam Warlock, a cosmic adventurer and possessor of the Soul Gem. An artifact of considerable power. Professor X assembles a new team to rescue the original X-Men. 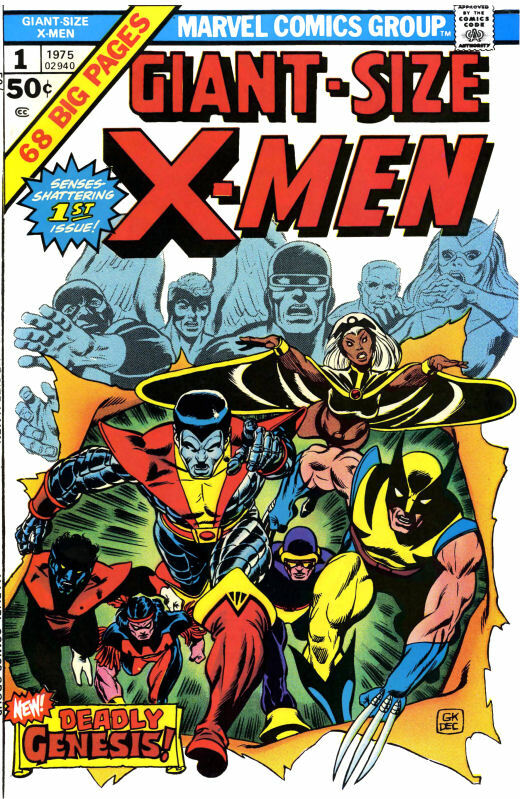 First appearance of Storm, Colossus, Nightcrawler and first addition of Wolverine and Banshee to the team. 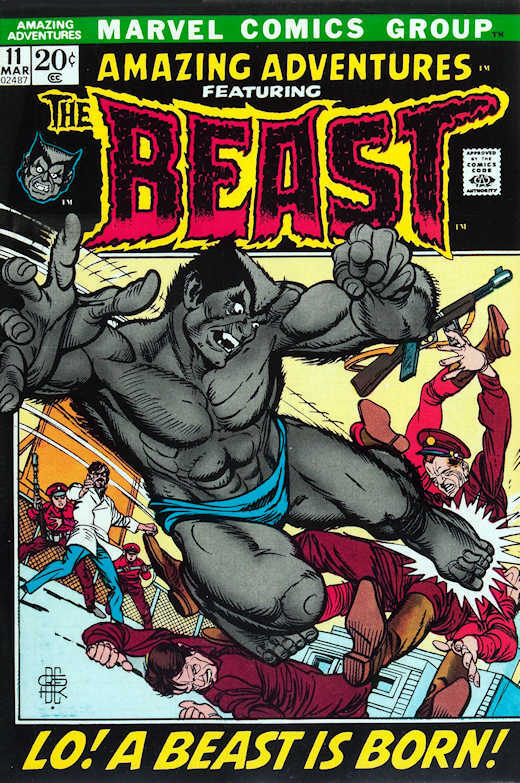 The Beast discovers a mutagenic formula and inoculates himself, resulting in his becoming a beast in appearance, as well as name. 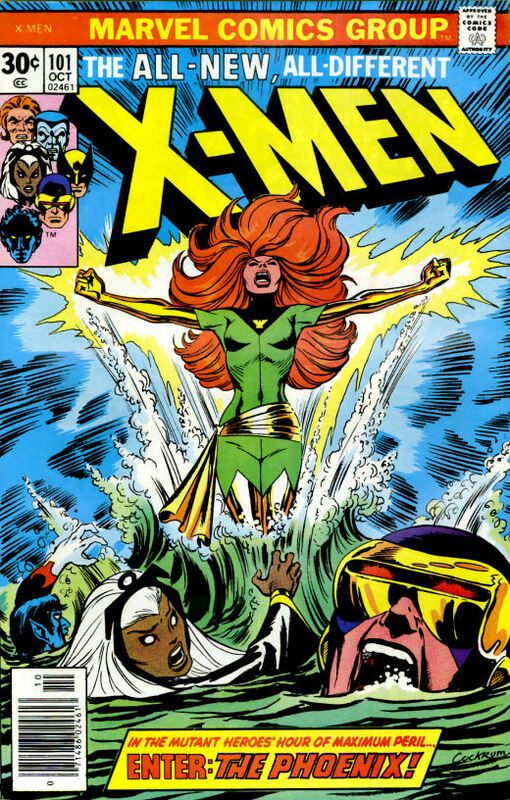 Jean Grey/Marvel Girl, after she is terminally injured during re-entry to Earth's atmosphere in a space shuttle - re-emerges with almost limitless power as The Phoenix. 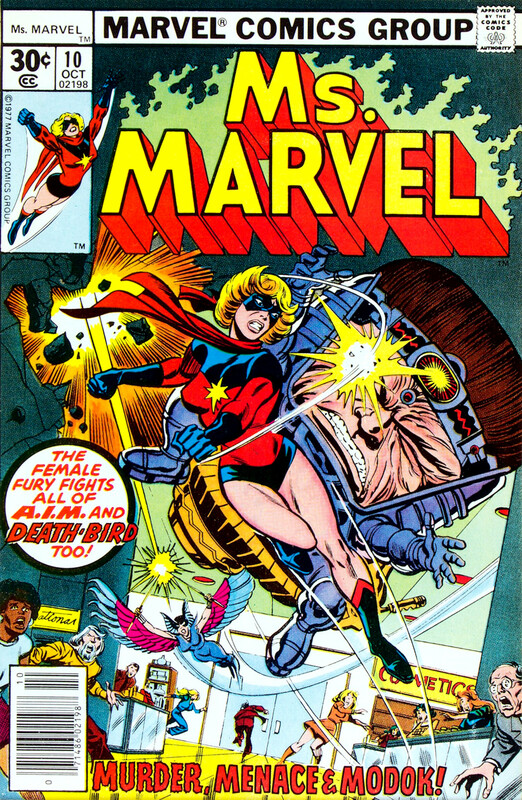 Carol Danvers, having been in an explosion with Captain Mar-Vell, finds herself infused with Mar-Vell's DNA and powers. 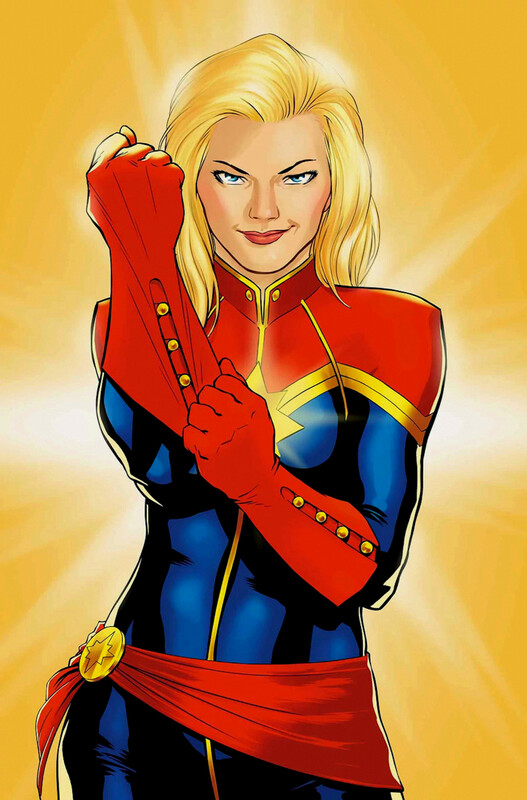 She will undergo power set changes and codenames (Binary and Warbird) before becoming the new Captain Marvel. 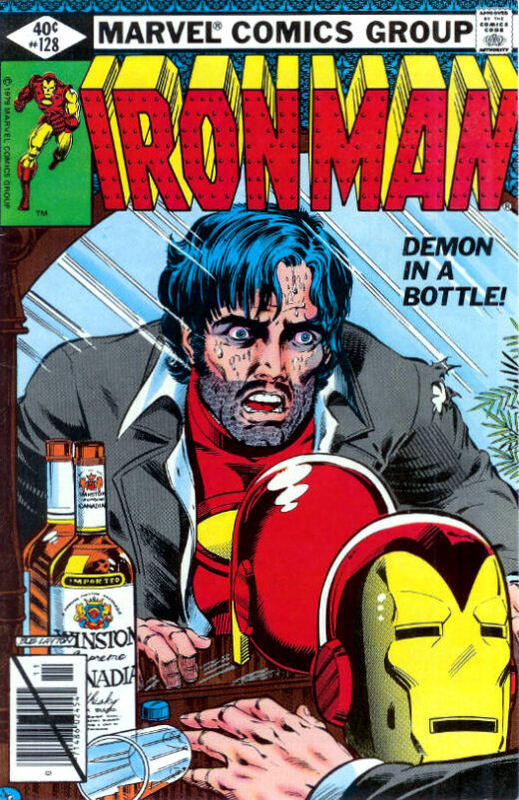 Tony Stark succumbs to, and later addresses, alcoholism. Scott Lang, a failed electronics expert, upon parole from incarceration for burglary, is hired by Stark International's design department and becomes involved in the installation of a new security system at the Avengers Mansion. When his daughter, Cassie, suffers from a grave illness, he turns to burglary again, stealing Dr. Hank Pym's Ant-Man suit. When he seeks out the only person capable of curing his daughter, he finds Dr. Sondheim in captivity. He rescues Sondheim, who saves Cassie's life. Upon offering to return the Ant-Man equipment, Dr. Pym decides that the equipment is in the right hands and allows Scott Lang to become the second Ant-Man (Marvel Premiere #77) as long as he stays on the right side of the law. Lang becomes an occasional Ant-Man assisting various Avengers from time to time. 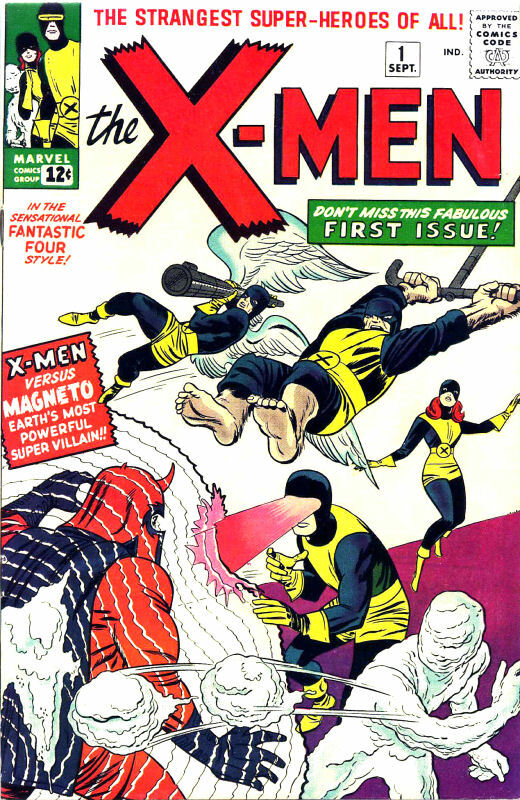 Alpha Flight, a super-team from Canada, attempts to capture Wolverine and battle the X-Men. Jennifer Walters, lawyer cousin of Bruce Banner, receives a blood transfusion from him, resulting in her becoming the She-Hulk. She-Hulk is in full control of her faculties. 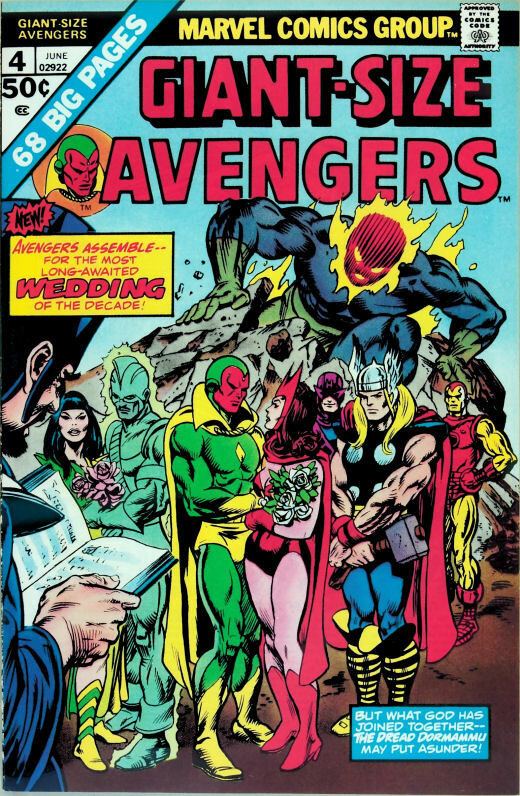 The Scarlet Witch and the Vision are married. Jean Grey becomes Dark Phoenix upon allowing the Phoenix force to overcome her personal judgment, resulting in her destroying a sun, destroying an inhabited planet and being called to pay for her crime by being psychically lobotomized by the Shi'ar Empire. A battle ensues between the entire roster of the X-Men and the Imperial Guard (artist Dave Cockrum's homage to his first successful team, the Legion of Super-Heroes). Desperately overpowered, the X-Men losing, Jean - feeling the Phoenix taking over again - summons Kree technology from their battlefield (the Blue Area of the Moon) and sacrifices herself, rather than lose control of her nigh-omnipotent power again. 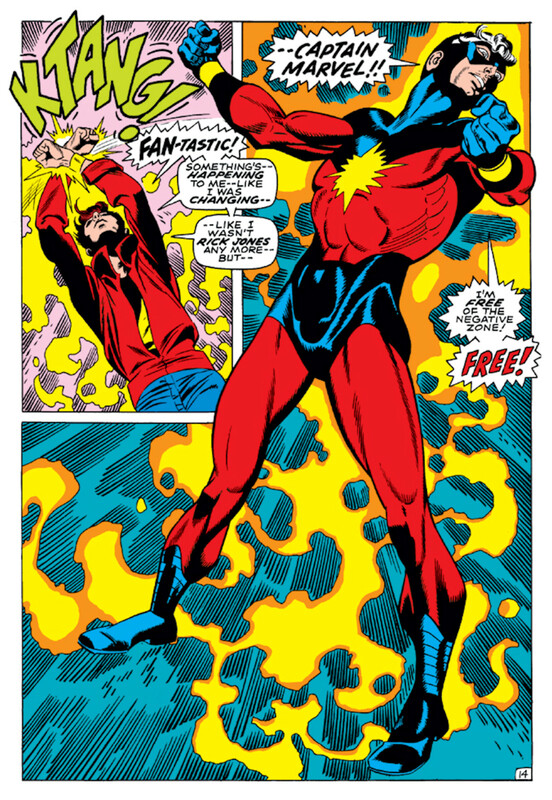 Captain Marvel (Mar-Vell) falls victim to what the Kree call "the Blackend", or what is called Cancer on Earth. Daredevil (Matt Murdock) rediscovers his lost love, Elektra and also encounters The Punisher, both of whom will go on to have their own adventures chronicled. The Contest of Champions, the first major Marvel Universe Crossover, is published. Professor Xavier creates another team of high school aged students, the New Mutants. 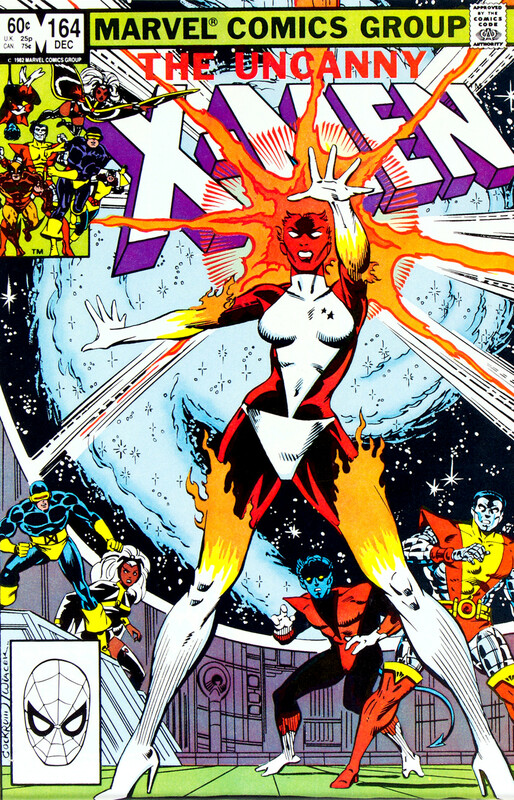 Joining the X-Men after Rogue has stolen her powers and memory, Carol Danvers receives cosmic powers after an experiment by the alien race known as The Brood. 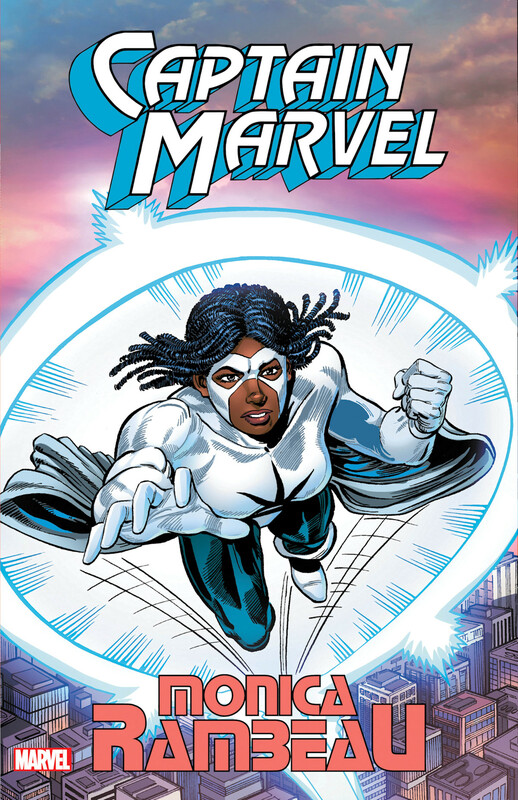 Monica Rambeau, a new, photon-powered Captain Marvel joins the Avengers. 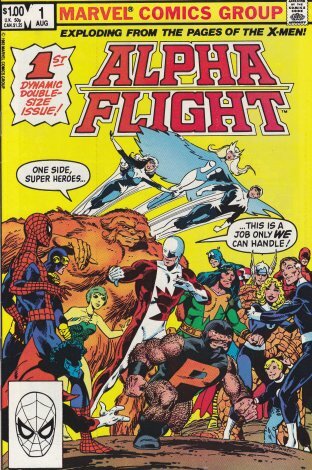 Alpha Flight, a team previously intended to be led by Wolverine and the last of Department H's defense initiative (Alpha Flight being the premiere group of it's sub-teams of Beta Flight, Delta Flight and Gamma Flight) become more active in the Marvel Universe. 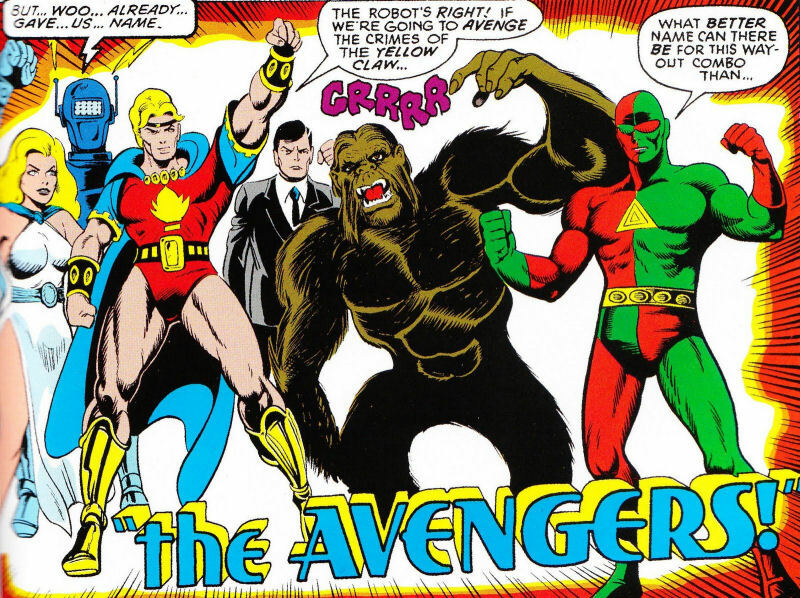 The Avengers begin a West Coast Team under the direction of Hawkeye. She-Hulk becomes a member of the Fantastic Four, when The Thing stays behind on the "Beyonder's Planet", where he is able to shift to Ben Grimm at will. She-Hulk replaces the Thing in the Fantastic Four for a time until Ben returns from the "Beyonder's Planet". 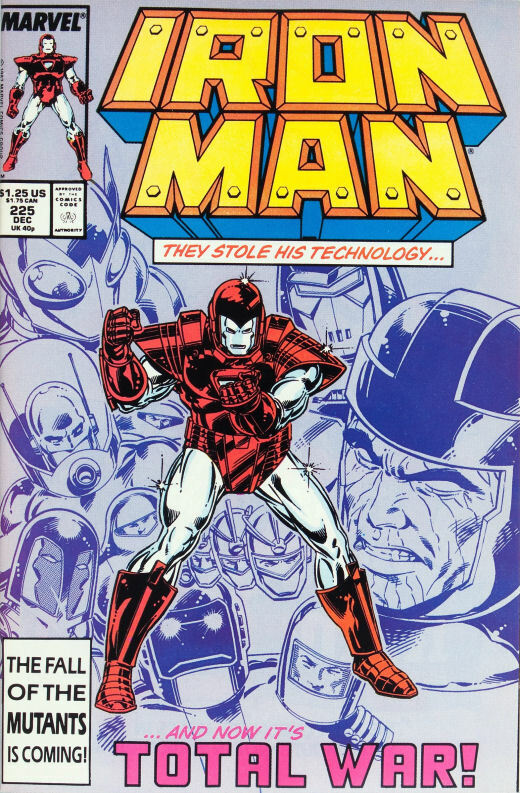 Iron Man embarks on a mission to destroy armored suits that were created from his own stolen technology (Armor Wars). 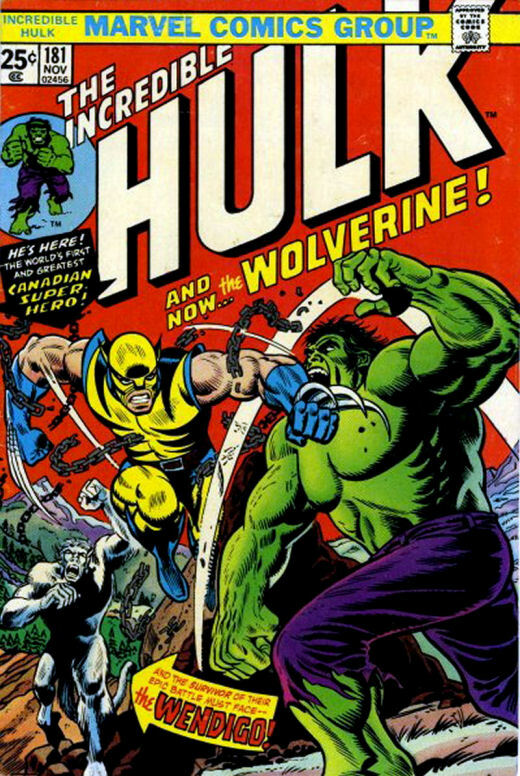 Bruce Banner breaks through in a session with Doc Sampson, resulting in the merging of his three personalities (Grey Hulk, Green Hulk and Banner) and giving Banner successful and fully cognitive control over his Hulk persona. The Punisher receives his own series and is portrayed as a hero. Venom - a character which is an amalgam of Eddie Brock and the scorned symbiote costume of Spider-Man - terrorizes Mary Jane Parker to the point that she asks Peter Parker never to wear the black costume again. Venom later receives his own series and is portrayed as a hero. Charles Xavier leaves the School for Gifted Youngsters in the hands of the X-Men's enemy Magneto, leading to a splintering of mutant groups, such as X-Factor (the original X-Men). The Angel's wings are injured and amputated, then replaced with razor-sharp wings after he is hyper-mutated by the evil mutant Apocolypse. 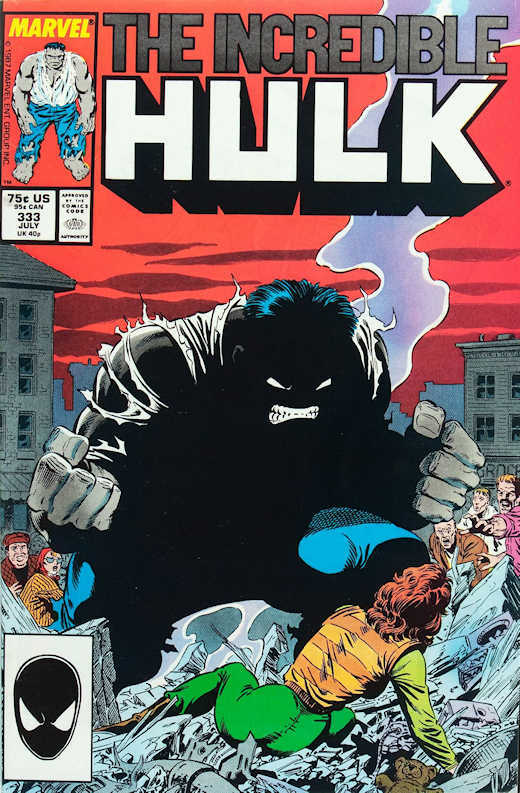 The Hulk is diagnosed by Doc Sampson as a multiple personality disorder and successfully integrates the personalities into a unified being, allowing hulk to gain Bruce Banner's mental faculties. After 10 successful years of this journey, Marvel Editorial reverts him back to a rampaging monster. 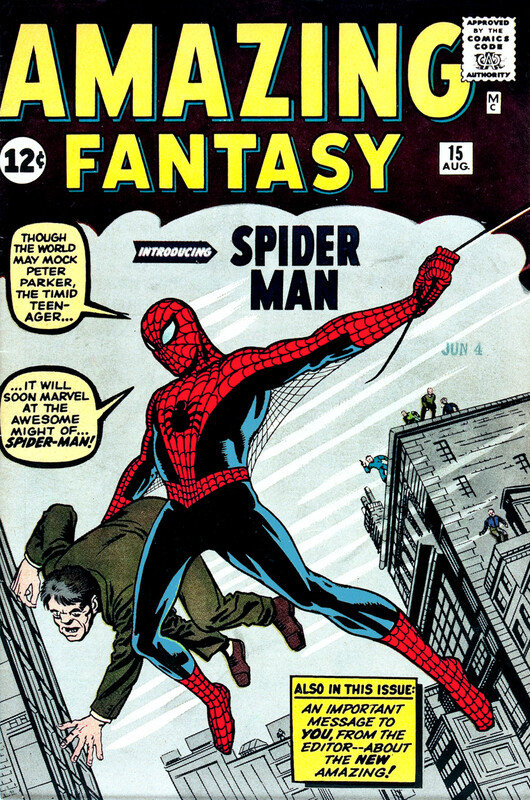 "The Clone Saga" is published, reintroducing clones of Spider-Man from a long-forgotten (by choice) Bronze Age story. This story featured a clone whose dead body had been incinerated. 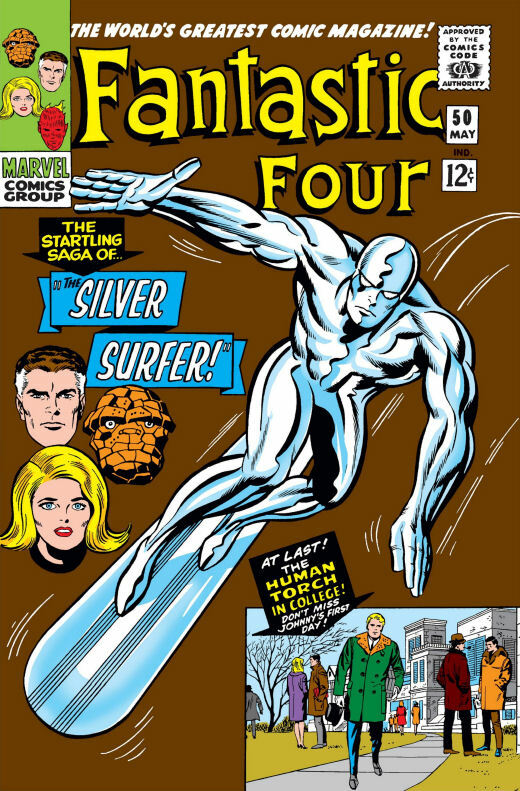 The Silver Surfer is released from his imprisonment on Earth, resulting in many star-spanning adventures. Most importantly several run-ins with the Elders of the Universe, cosmic powered beings who have outlived their respective races and who, among others, possess different versions of Adam Warlock's "Soul Gem". The Grandmaster, The Collector, The Gardner, The Runner and Champion all collude to harness the collected power of these gems to challenge the power of Galactus. This will have immediate consequences and even further, long-term consequences for each of them. The Original Human Torch is (finally) revived. The "Torch" who battled Johnny Storm turns out to have been Toro, the Original Torch's human sidekick. Professor Horton reveals that The Vision is not his work, but an amalgam of some spare parts from his lab. This provides an explanation as to why the original Human Torch was a synthetic human (with synthetic tissue and blood) and the Vision was a synthezoid with robotics (electronic components, as seen in Avengers #93). 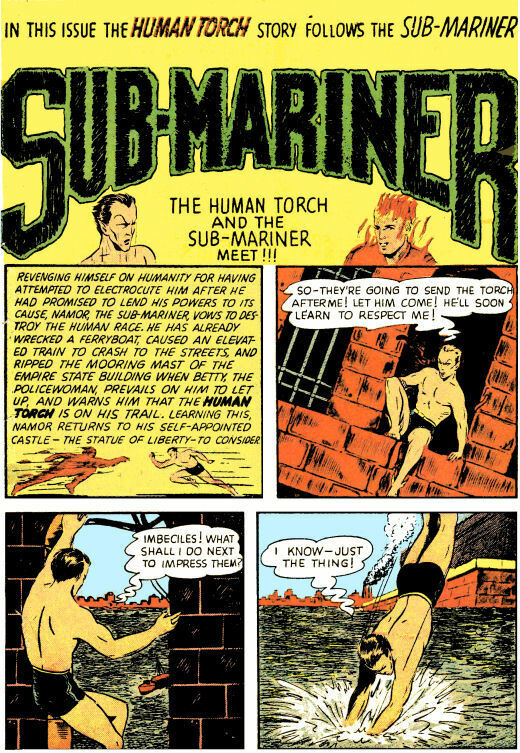 Namor, the Sub-Mariner learns that his hybrid physiology requires him to spend time in both the water and air, in order to maintain a healthy psychiatric profile. Shortly thereafter, The Invaders, if only for a brief moment, reunite to squash a Nazi threat at the end of the 20th Century. 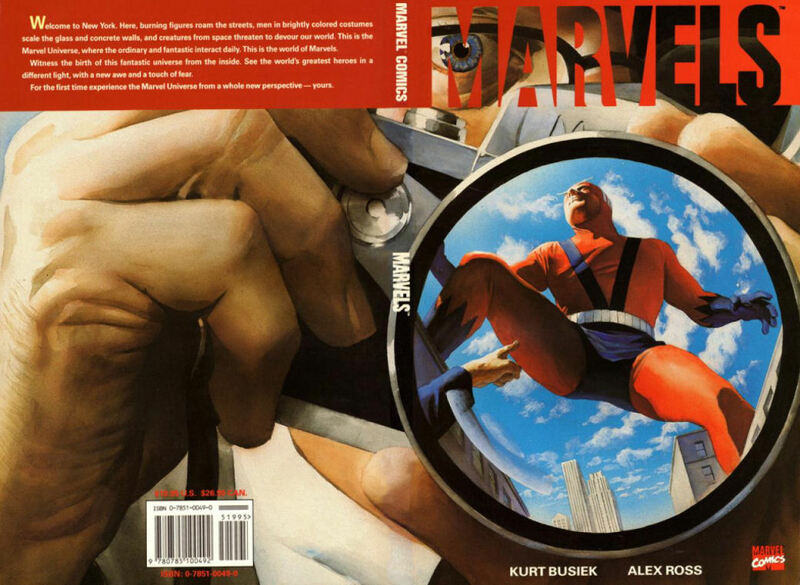 "Marvels" by writer Kurt Busiek and painter Alex Ross is published. The Marvel Universe (Earth-616) is erased between 1996-1997 with "Heroes Reborn". Heroes Reborn, itself, is quickly erased, rendering it unecessary to retell here. Suffice it to say that the mind of Franklin Richards creates a universe which supplants the mainstream universe (with versions of heroes as written and rendered by Rob Liefeld and Jim Lee), and then returns things to normal again sometime later. 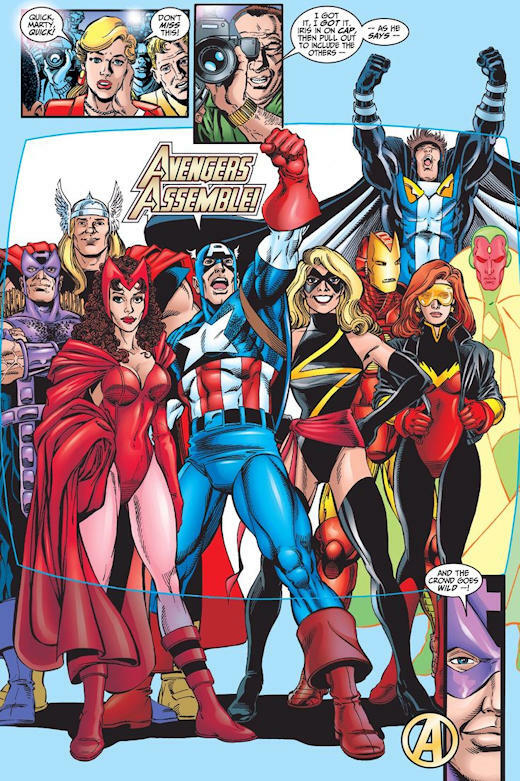 The return of the Marvel Universe (Earth-616) was chronicled by Marvel titles beginning in 1998. Much had changed, but our heroes essentially picked up where they left off. 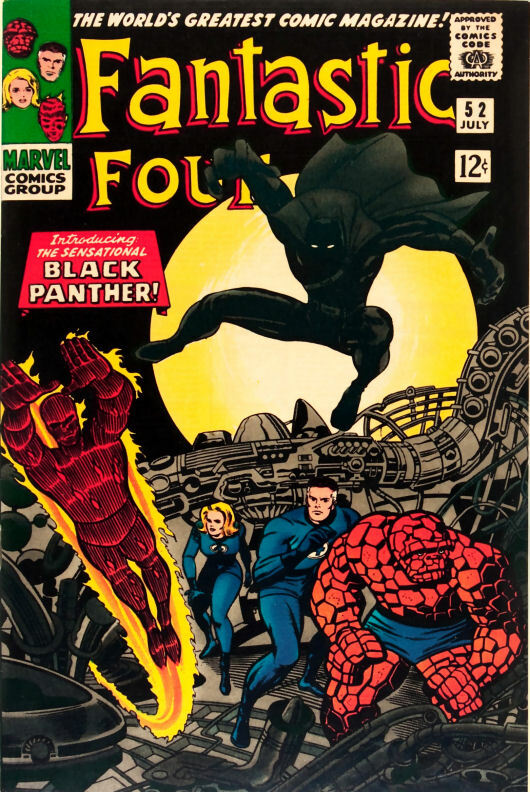 The Black Panther's adventures as king, diplomat and head of state to an intentionally isolationist - and, as a result, rather xenophobic - and technically advanced culture are told. He deals with border skirmishes, civil unrest, enemies both metaphysical and political. He works to determine how best to continue the legacy of his father, T'Chaka, who built the country into the most technically advanced nation in the world. He disbands Hatut Zeraze, an elite spy and assassin group created by his father, T'Chaka, and led by his adopted brother, Hunter. T'Challa cites their organization and methods as being arcane and brutal. He fights his strongest enemy, Killmonger, while attempting to save the life of his long time girlfriend, Monica Lynne and also address Nakia, an overly obsessive member of his elite guard, the Dora Milaje order. Rick Jones becomes "partners" with Captain Marvel's son, Genis-Vell, experiencing the same molecular transfer with the nega-bands as with Mar-Vell, only this time through the Microverse, rather than the Negative Zone. The Avengers return from an altered timeline where they were banished with their memories erased to Earth-616. They investigate the mysterious Triune Understanding, deal again with Ultron, welcome a few new members and generally re-establish the team as the Earth's Mightiest Heroes (note Carol Danvers below in her Ms. Marvel costume, later re-dubbed "Warbird" and quickly reverting back to her Marvel moniker). Scott Lang, during the Avengers: Disassembled event, is seemingly killed by an explosion seemingly set off by Jack of Hearts, which destroys the Avengers Mansion. Nathaniel Richards, destined to become Kang the Conqueror is given a suit of armor (by Kang from the future, of course) and decides to deny his fate by donning the suit and going back in time to become the young hero, Iron Lad. He forms a team of young heroes with Hulkling (Teddy Altman, a shapeshifter with super strength), Patriot (Eli Bradley, grandson of Super-Soldier Isaiah Bradley) and Wiccan (Billy Kaplan, wielder of magics). They quickly encounter and add to their roster more young would-be heroes: Kate Bishop, a young adventurer who inducted herself into the group without any known powers and saves their bacon from a botched rescue (Captain America will later bless her use of the "Hawkeye" moniker due to her ability with bow and arrow). Cassie Lang (daughter of Scott Lang, Ant-Man II, who learns that her lifetime exposure to Pym Particles has enabled her to change size at will) who becomes Stature. 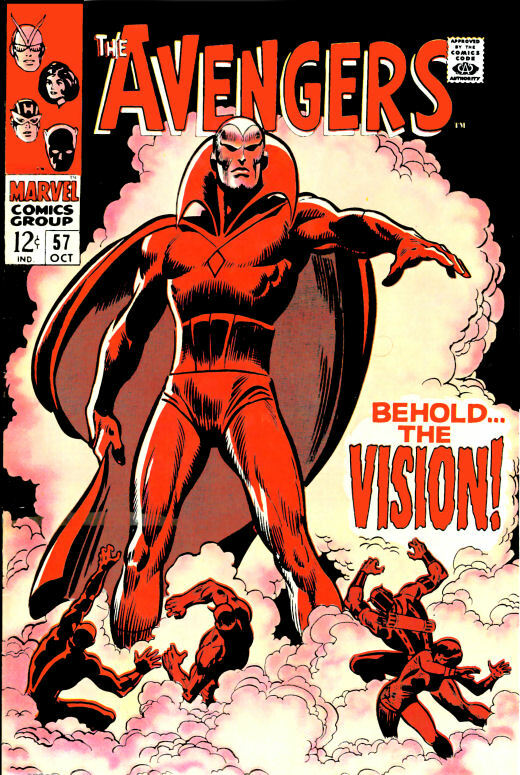 The Vision - re-formed from the then-recovering Vision's programming and Iron Lad's technology. And Tommy Shepherd (Speed) - whom the group find through the Vision and release from power-dampening captivity. The group, upon liberating Tommy, immediately note that he and Billy are identical twins, save for their hair color. This group will become known as The Young Avengers. 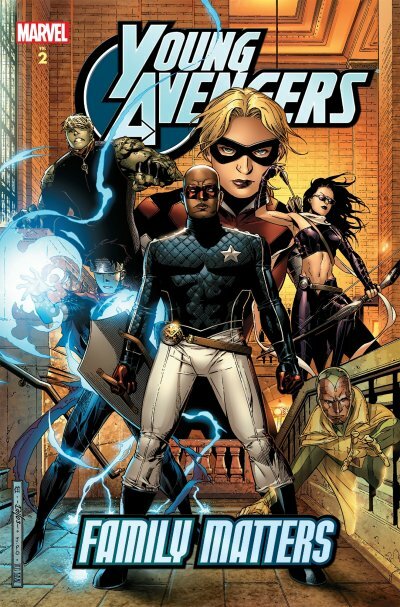 The "New" Avengers whose roster includes Luke Cage, Captain America, Iron Man, Spider-Man and Spider-Woman (Veranke) is formed in the wake of Avengers: Disassembled. Later, Wolverine and Sentry will be added as members, as well as the deaf ninja Echo, as Ronin. The "House of M" event is the result of the Scarlet Witch's (Wanda Maximoff's) escalating powers. Previously held in check by Professor Xavier's psychic blocks, he recognizes the potential threat she poses to the world at large. Perhaps sensing the impending doom, Wanda reinvents reality in a fashion that results in the world being run by Magneto and other mutants in the House of M. A warped reality bent by Magneto's overbearing desire to "fix" the world for mutantkind and Wanda's desire to have a "normal" life with her ersatz children (Thomas and William) intact, she eventually realizes that she has to put things right. She restructures the world once again - but not exactly the way it was. Some who were dead are now alive, some who had powers do not any longer - in particular, after she has uttered "No more mutants", the millions of mutants have become mostly human, with a few hundred mutants left on earth. After over 40 years of being the only character in Marvel continuity to have remained dead after being pronounced so (to the extent that comics fans made the distinction between being "dead" and being "Bucky-dead"), the character is revived as "The Winter Soldier". Subsequently, the great character minds of the Marvel Universe clandestinely gather together, revealing a highly fascistic and underhanded motivation to previously heroic characters, naming themselves "The Illuminati". In further attempts at event storytelling, such as "Secret Invasion" and "Civil War" the results are long stories unable to be republished as a cohesive narrative and more universal situations thrust upon characters, writers and readers. Many recent readers, attempting to connect the published Marvel Universe with the Marvel Cinematic Universe, become frustrated with the number of tomes necessary to make sense of these storylines. In Avengers: The Children's Crusade, during a time travel incident, Scott Lang is saved at the moment of the destruction of the Avengers Mansion and is returned to the present by the Young Avengers and the Scarlet Witch (Wanda Maximoff) at the moment she regains her memories. In 2012, Carol Danvers finally becomes Captain Marvel. Honoring her heritage and past, she dons a costume more reminiscent of the departed Mar-Vell and emerges as Marvel's most powerful super-hero. In 2013, Marvel shoots for the moon with "Marvel NOW" and, for the umpteenth time, restarts all titles with #1. As with "Heroes Reborn", the concept is abandoned within a year. In a more recent attempt at relevance, and a decision to discontinue Marvel's "Ultimate" line of comics (another, separate universe) in 2015, Marvel decided to essentially "blow up" the universe and start over with a new "Secret Wars". The event is well-planned and, while unevenly executed in some titles, finds a way to interest readers. 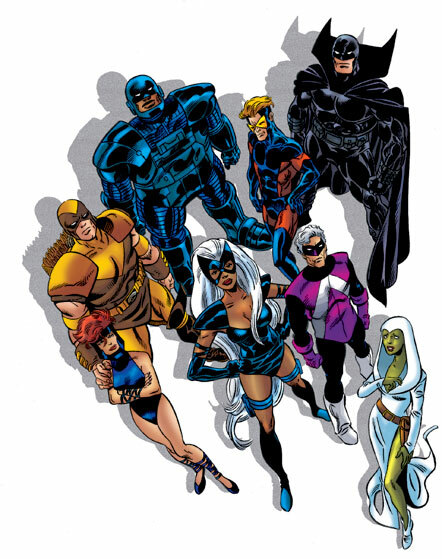 The event resembles DC's "Crisis on Infinite Earths", in that they sought to make a new and more cohesive single universe out of different realities. 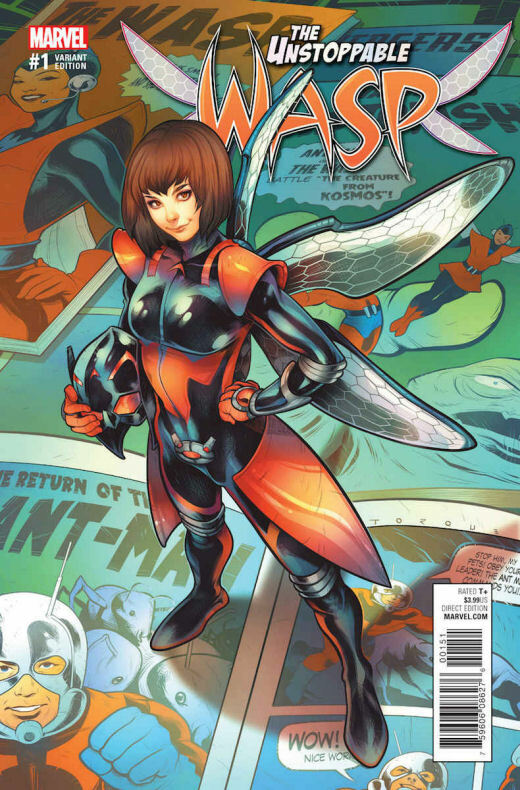 More recently, The Unstoppable Wasp re-energized the teen hero genre. Her title was abruptly canceled in 2017, but then reintroduced in 2018 highlighting G.I.R.L. (Genius in Action Research Labs), staffed with her newly-found friends & mentored by the Original Wasp and Mockingbird. The Unbeatable Squirrel Girl and a resugence of Howard the Duck proved interesting in their goofy-fun factor. 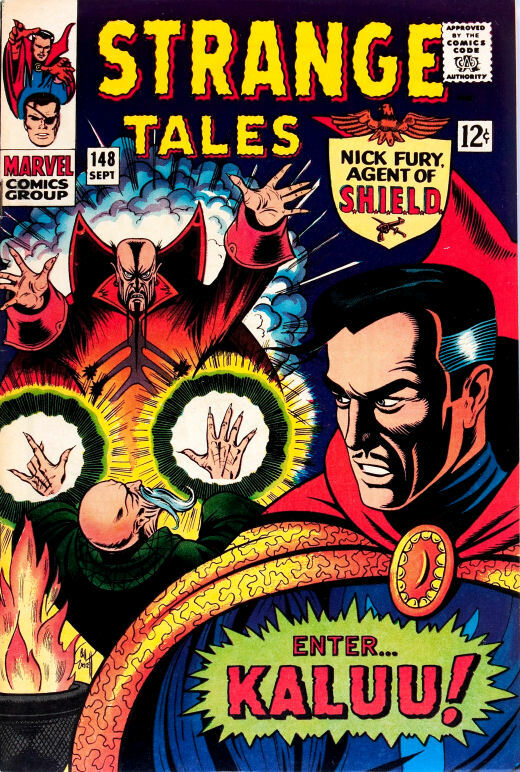 Of other interest, Doctor Strange emerged as a major player with the most recent eponymous title. First brought forth by writer Jason Aaron and artist Chris Bachalo and currently chronicled by Mark Waid and Jesus Saiz. And the most recent iteration of The Champions has also been of interest with its approach to the Teen Team genre. Look for them on your comic store shelves!! Hope this was a fun trip for you! 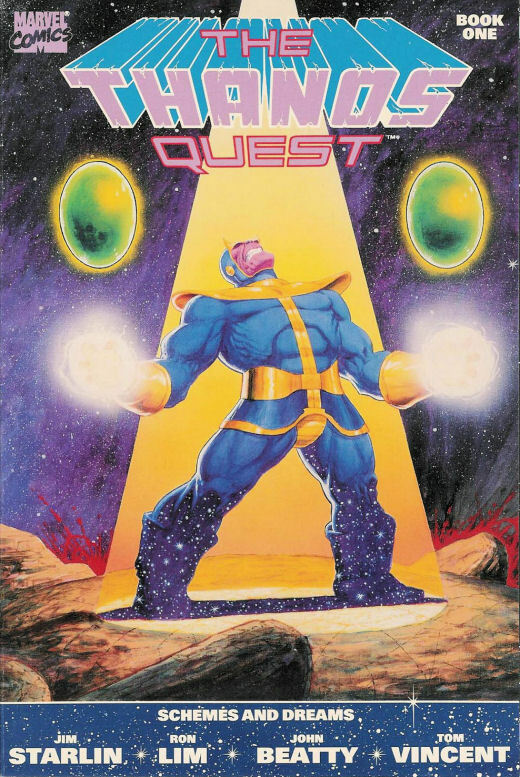 Commentary: In the early 1990s, at a time when direct sales sales is considered to be around 100,000 copies per month, Marvel Comics almost single-handedly provides the tipping point for the implosion of the comics industry by attempting to self-distribute (other companies were moving toward exclusive distribution through Heroes' World or Diamond at the time), throwing the entire industry into chaos and resulting in the loss of millions of comics sales, the demise of the independent distributor system, the loss of newsstand distribution of comic books and the subsequent loss of hundreds of comic book stores throughout the United States. This is a catastrophe from which Comic Book Industry has not recovered. Currently, any book selling over 30,000 copies per month (less than 1/3 that of previous sales levels during the 1990s and even lower than that level compared to previous periods), is considered "successful". Subsequently, Marvel jeoparizes their identity as the "House of Ideas", when they attempt to regain market share with a revamp of their cohesive universe by farming the work out to former employees to create "Heroes Reborn". The resulting year-long loss of any interesting stories at Marvel Comics thrusts the hobbling company into bankruptcy. During this following period, they sell off the film rights to the X-Men and Spider-Man, lock, stock & barrel to Paramount and Sony, respectively, as well as selling off live show character rights to Universal Studios Parks. The problem of short-sightedly selling off their properties still haunts Marvel/Disney to this day. Later in the mid-2000s Marvel attempts to reinvigorate interest in their printed universe by moving from the problem-laden heroes of yore into a more dismal universe, run by its villains. It's further indicative of the desperate meanderings of the publisher of events such as "Secret Invasion" and "Civil War", which are essentially revamps of previously published storylines introduced by other companies/writers (see Kurt Busiek's Astro City: Confessions). The MC2 (Marvel Universe II) titles and characters such as Spider-Girl, A-Next, Fantastic Five & American Dream briefly manage to recapture the pensive-but-fun feel of the original Marvel Universe, but are canceled after short runs. 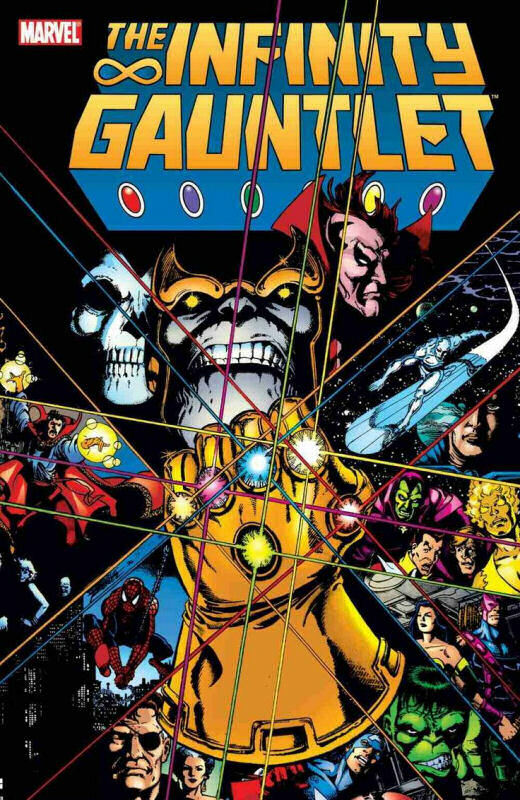 Marvel does still manage to produce some interesting stories Universe-wise - however, the tendency to focus on the "next event", hoping to recapture what they lost during their lack of vision in the mid-1990s continues to hobble the comic book company's overall creative vision. 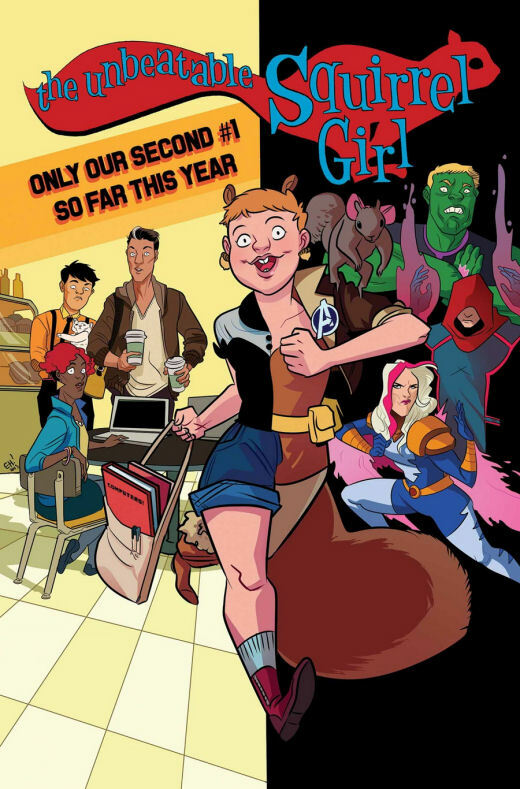 In the course of a few years, Marvel rebooted their universe twice (or more), restarting comics series with #1 (and the best line on a Marvel cover in the year 2015 goes to The Unbeatable Squirrel Girl: "Only Our Second #1 This Year!"). The House of Ideas, however, was led to a triumphant media dominance after its acquisition by Disney and featured Stan Lee in most of its tentpole film productions. 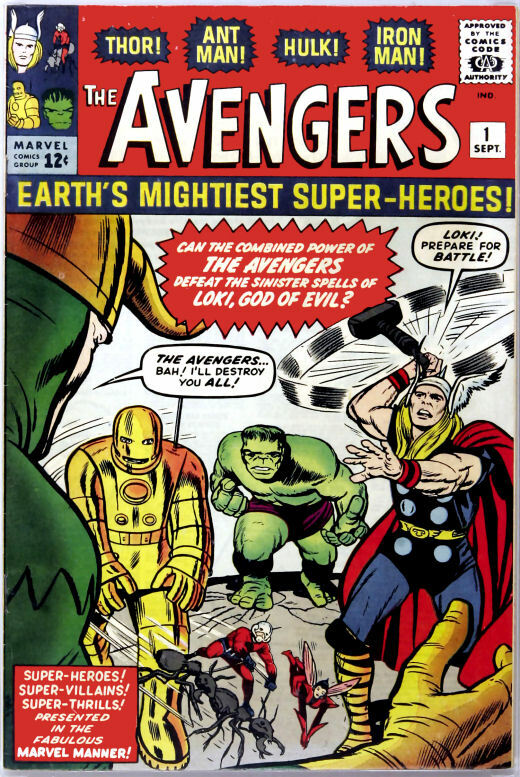 Jack Kirby has recently been provided a "by-line" as the major co-creator of The Avengers and the majority of their original members (Captain America, Thor, The Hulk, Ant-Man & The Wasp, as well as Black Panther, Nick Fury and the Scarlet Witch). The recent acquisition of 21st/20th Century Fox and its properties has returned both the Fantastic Four and the X-Men to the same home as the Avengers. This could lead to some interesting storytelling in theaters. But hold fast to your hopes, True Believers! Once the comic company looks at the films and remembers what made these characters and their stories great, they may yet return to dominate the comic book medium. The Fantastic Four, Mr. Fantastic, The Invisible Girl, The Invisible Woman, The Thing, The Human Torch, Captain America, Sub-Mariner, Vision, Iron Man, The Hulk, Spider-Man, Thanos, Adam Warlock, The Avengers, Ant-Man, Giant Man, The Wasp, Bucky, Toro, Union Jack, Spitfire, Miss America, Whizzer, Nick Fury, Red Skull, Marvel Boy, 3-D Man, Gorilla-Man, M-11 the Human Robot, Agents of Atlas, Wolverine, X-Men, Cyclops, the Angel, the Beast, Iceman, Marvel Girl, Magneto, Phoenix, Brotherhood of Evil Mutants, Mastermind, the Toad, Quicksilver, Scarlet Witch, S.H.I.E.L.D., The Inhumans,Black Bolt, Medusa, Karnak, Gorgon, Triton, Crystal, Maximus, Lockjaw, Galactus, the Silver Surfer, Ultron, Green Goblin, The Eternals, Storm, Colossus, Nightcrawler, Banshee, Alpha Flight, Shi'ar, Imperial Guard, Blue Area of the Moon, New Mutants, The Beyonder, Doc Sampson, Heroes Reborn, Heroes Return, and all related images are © and ™ of Marvel Comics. BRIAN G. PHILBIN'S MetropolisPlus.com "Hey!!! Kids' Comics" - text is © Brian G. Philbin, 2008. If you have any question, comments or other items of interest to this page, please feel free to E-Mail Brian G. Philbin. All items which are highlighted in blue text and underlined are links to the named item.